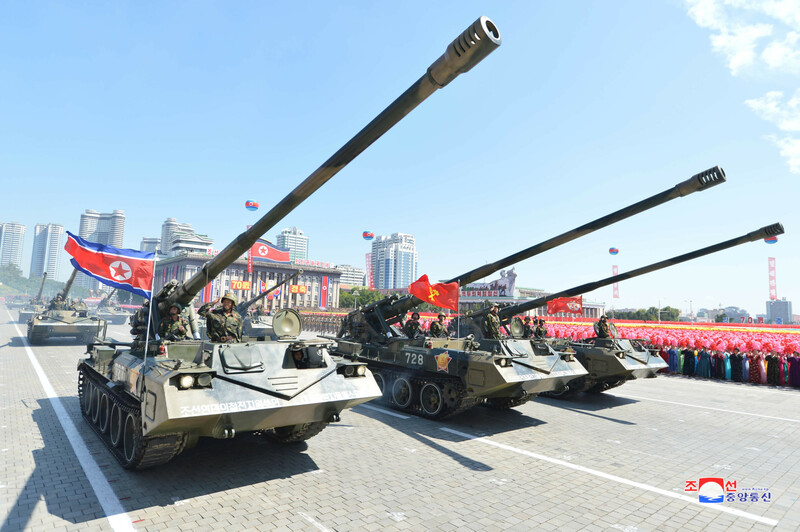 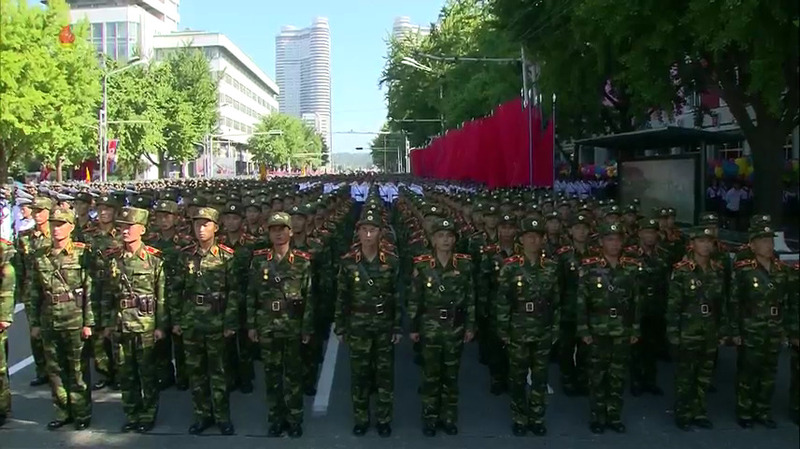 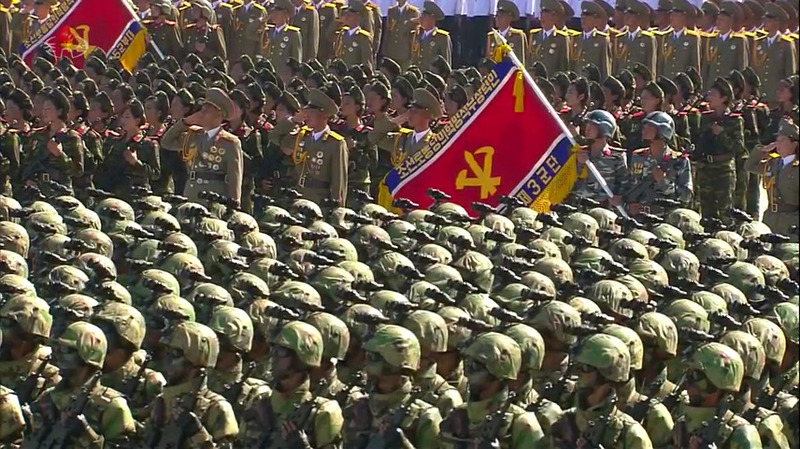 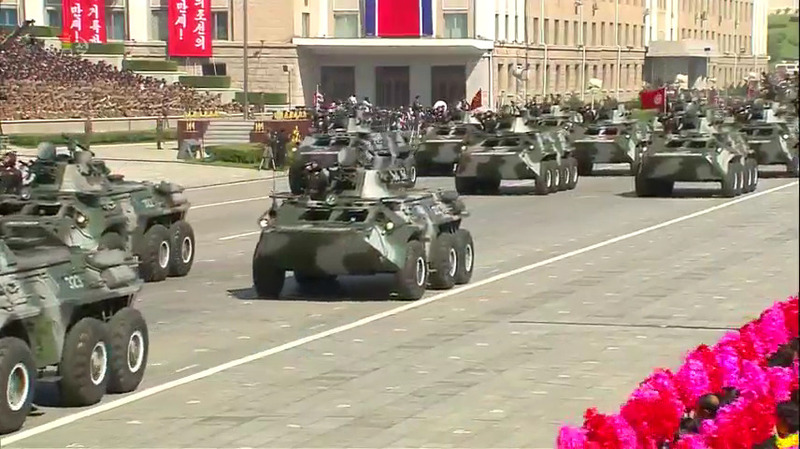 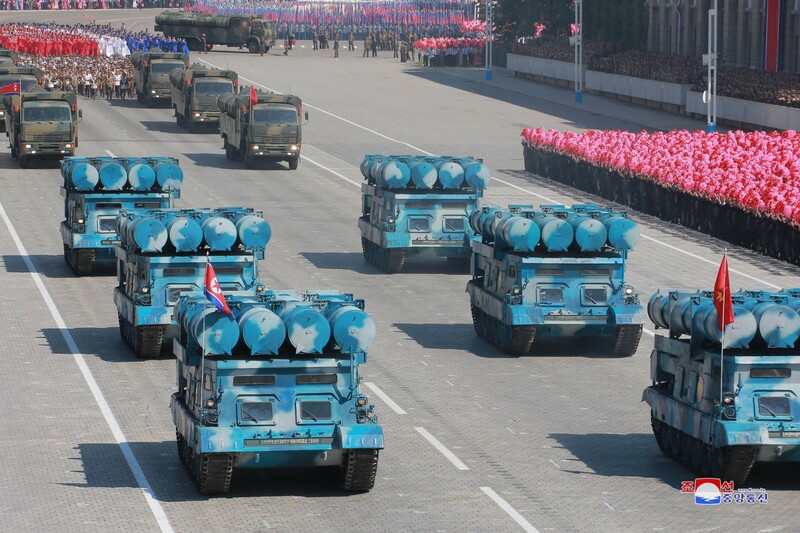 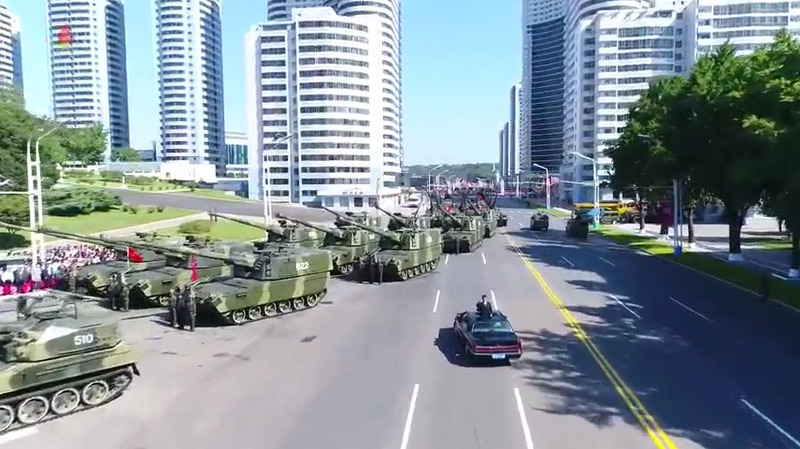 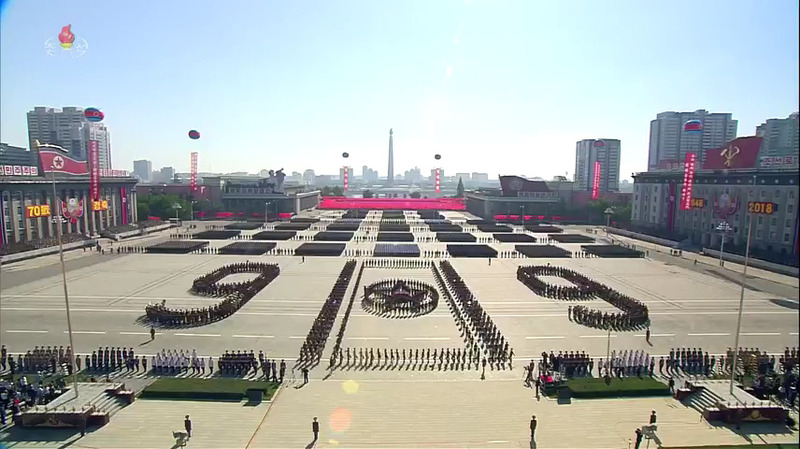 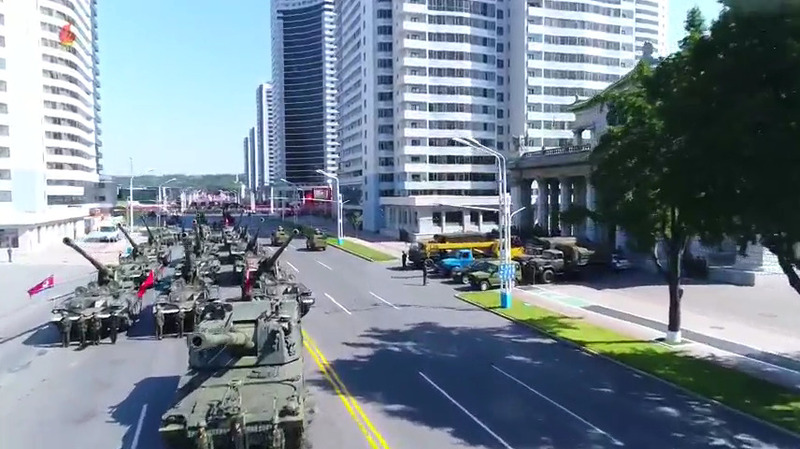 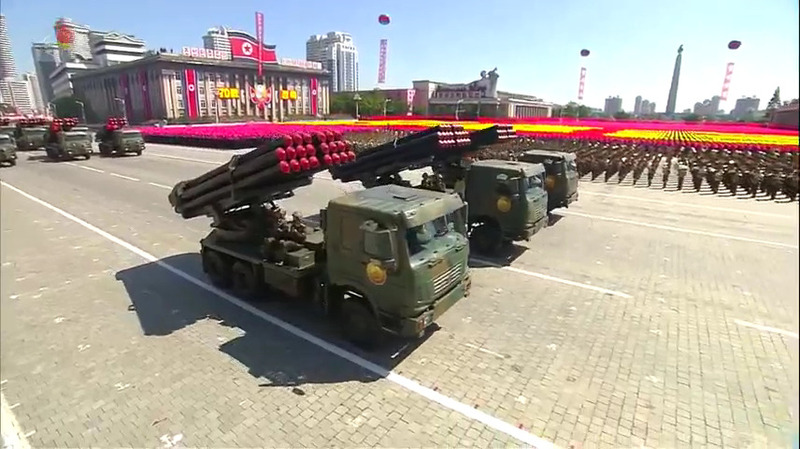 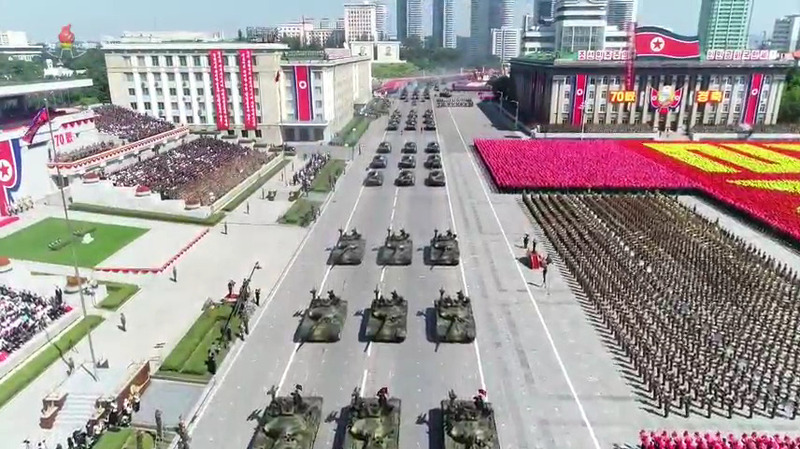 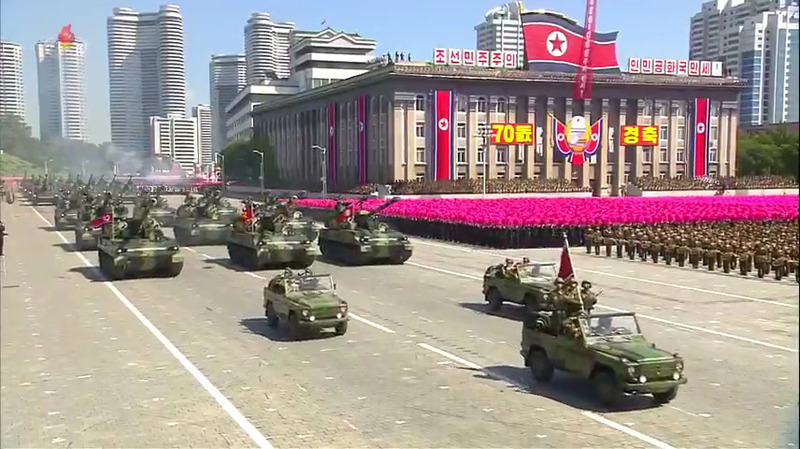 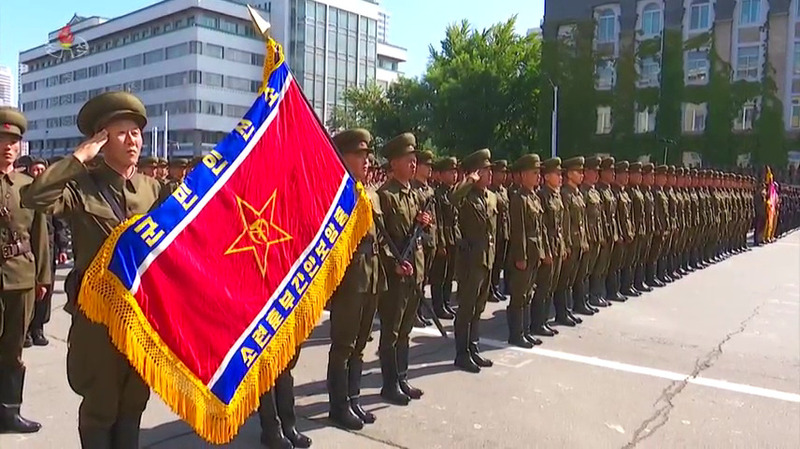 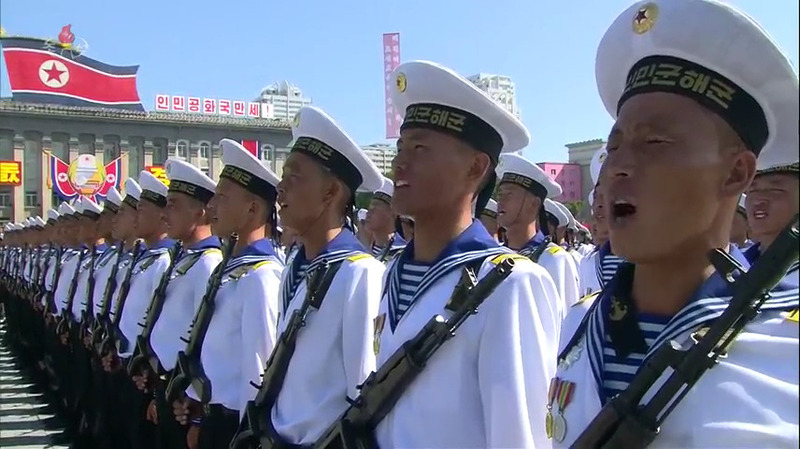 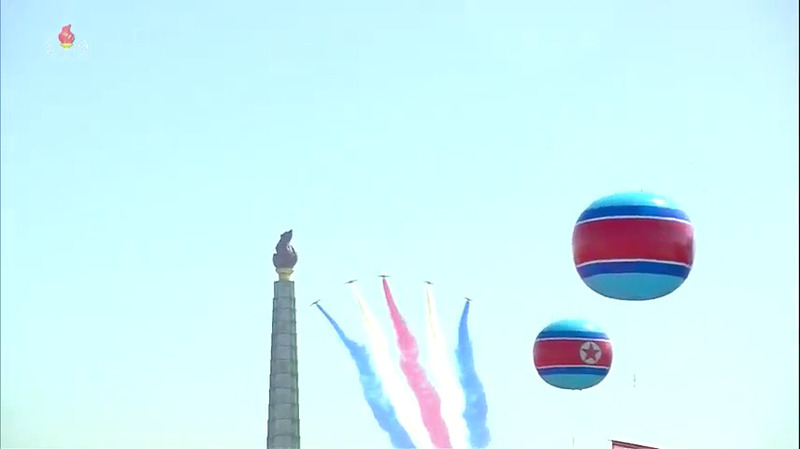 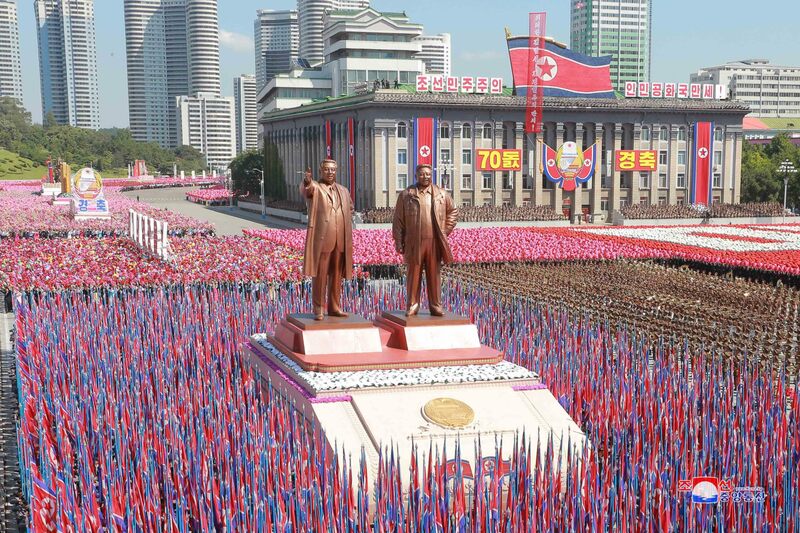 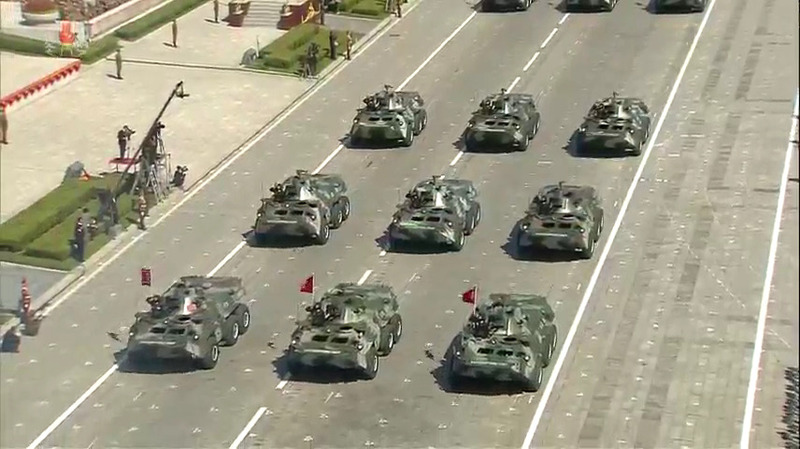 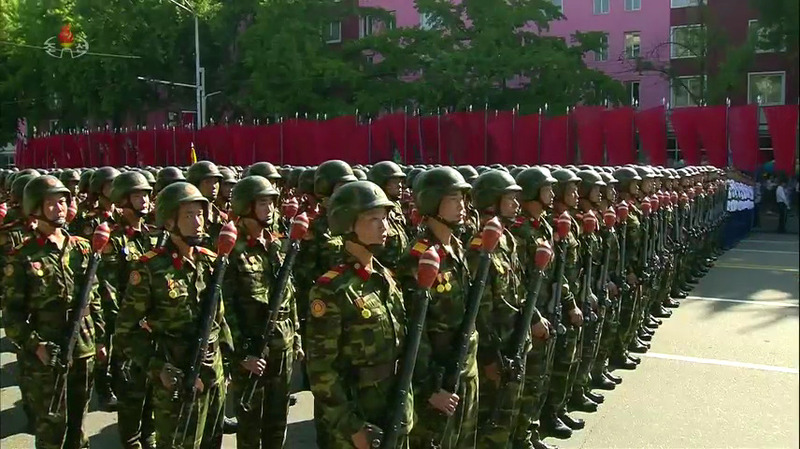 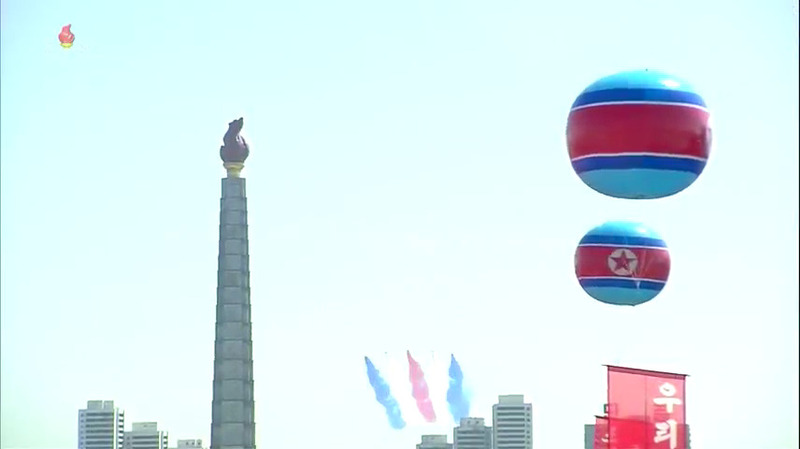 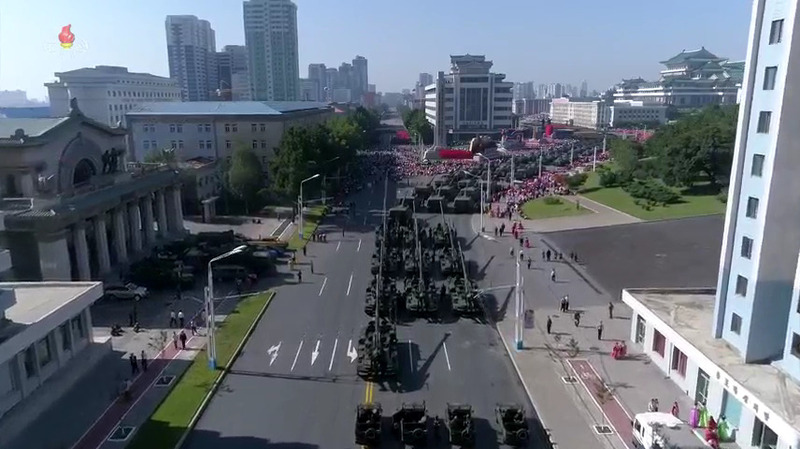 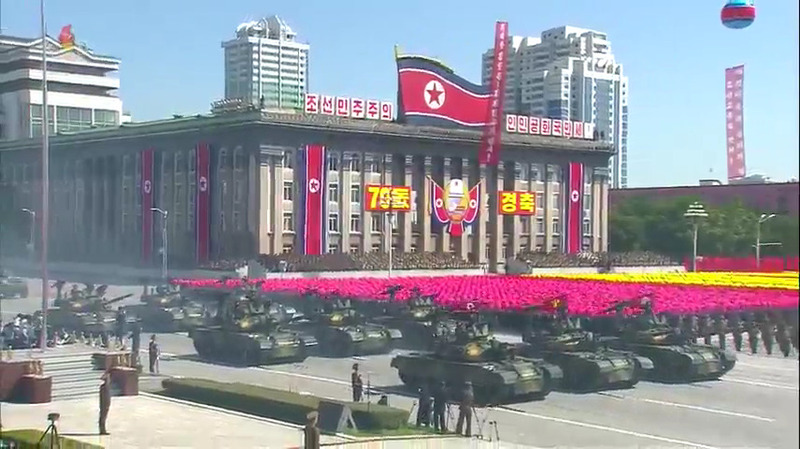 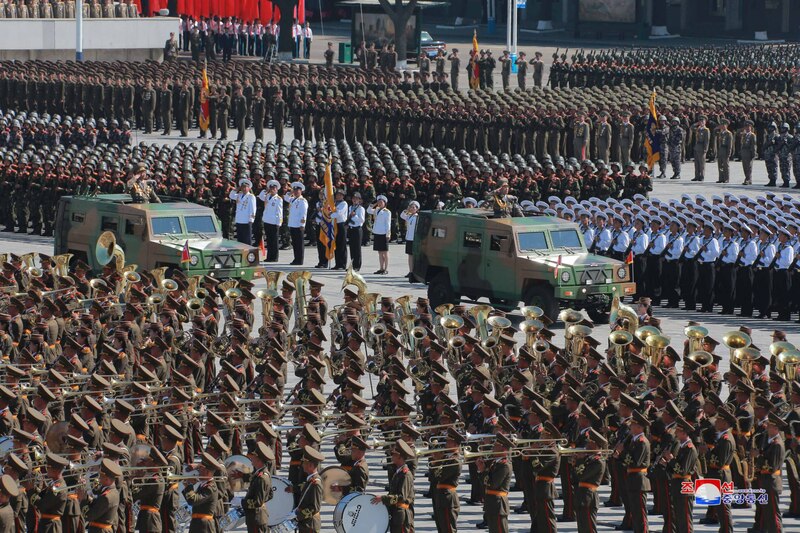 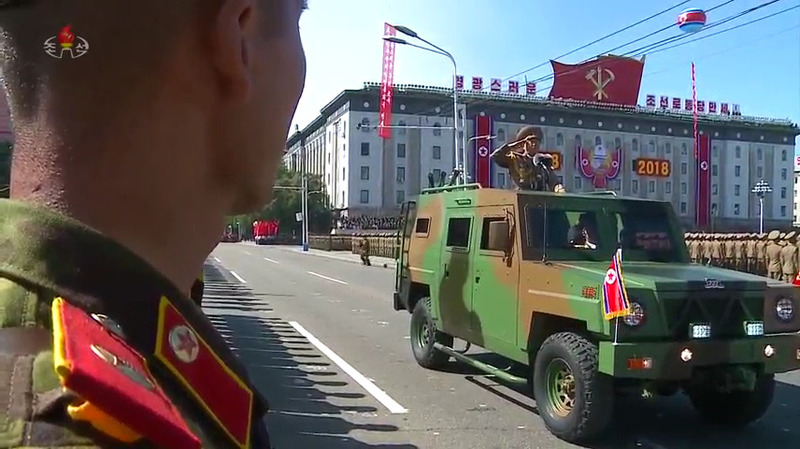 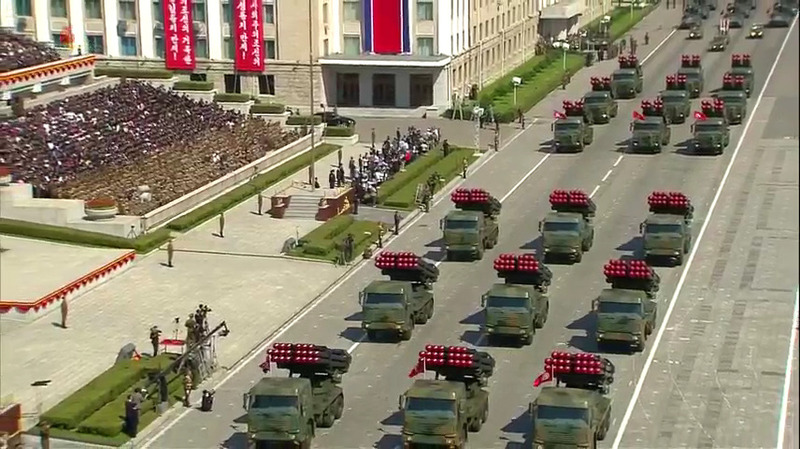 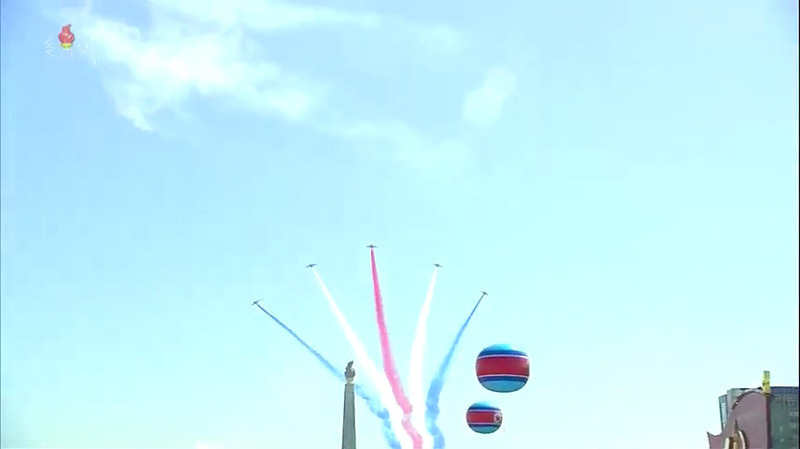 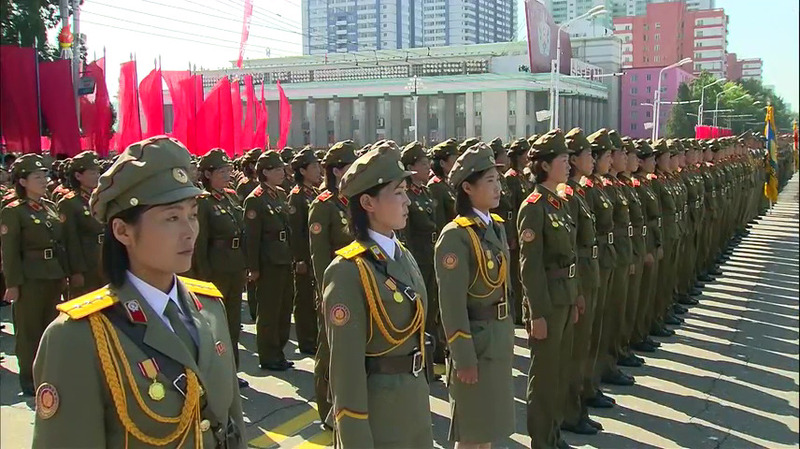 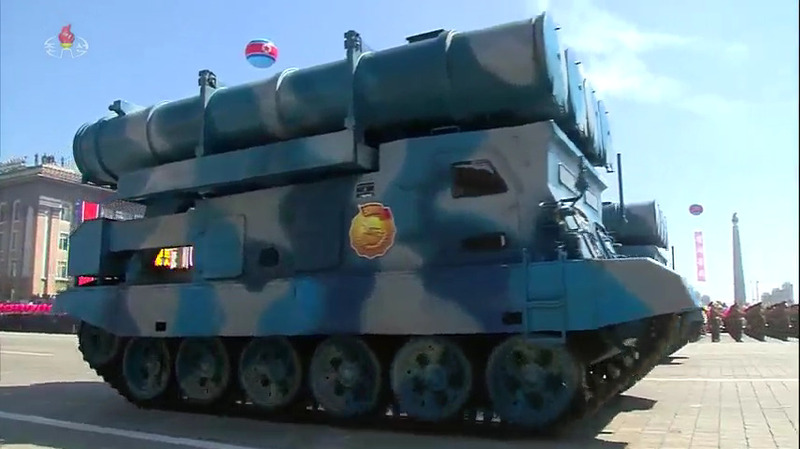 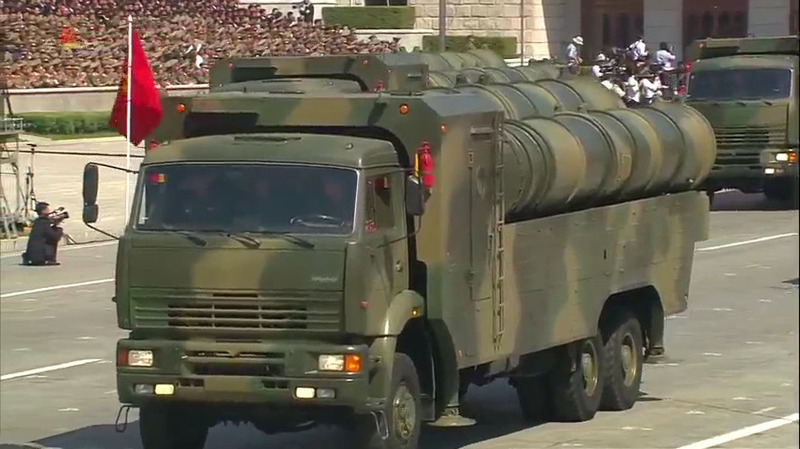 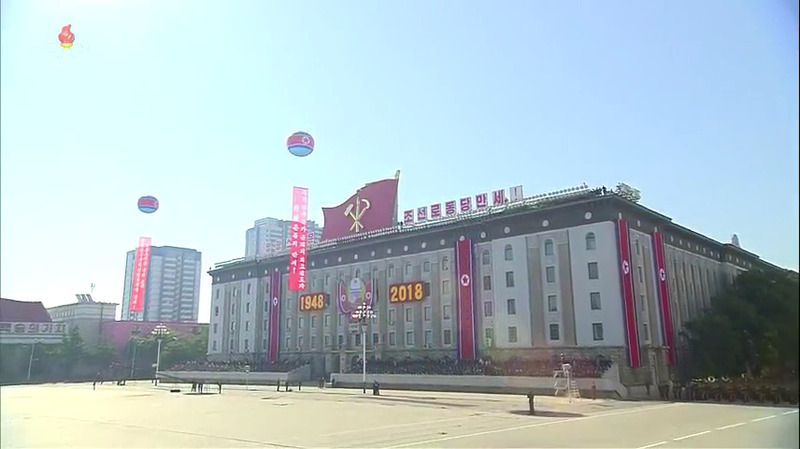 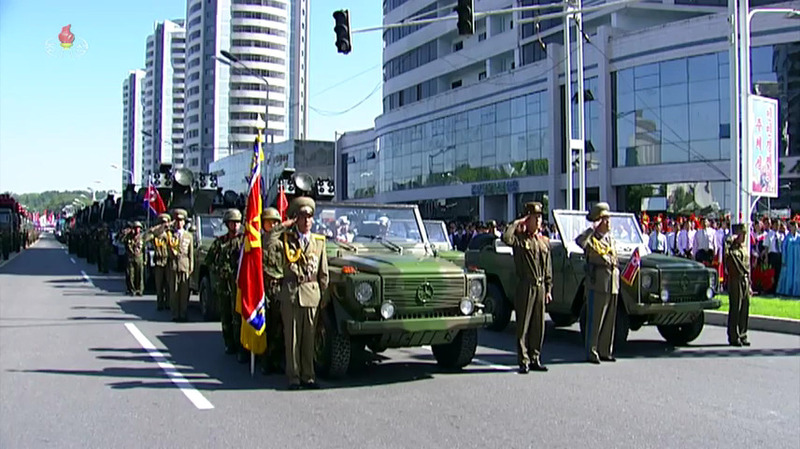 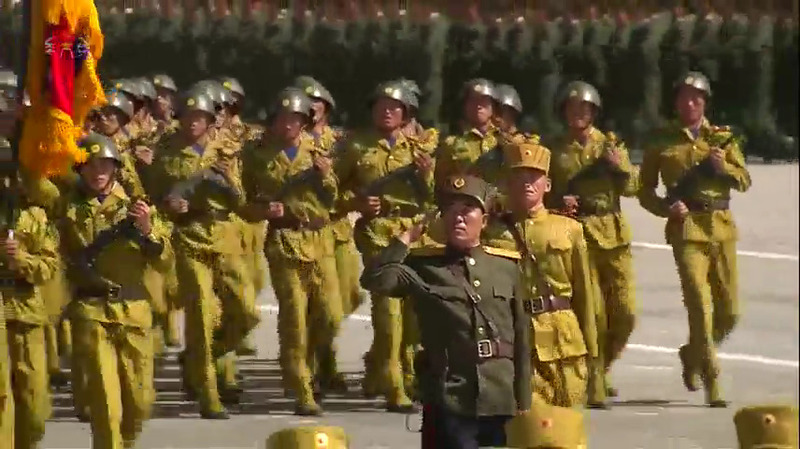 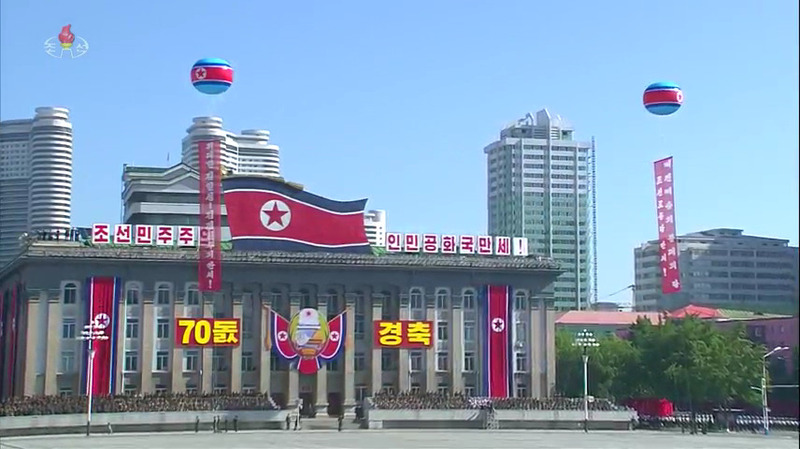 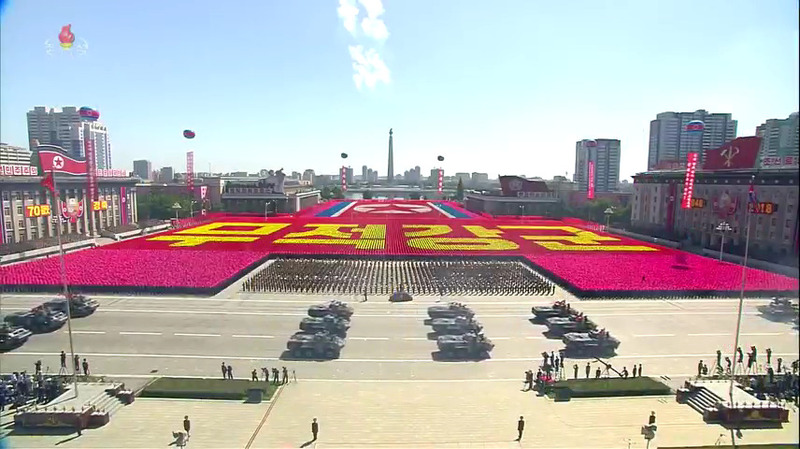 A military parade and procession was held in central Pyongyang on September 9, 2018 to commemorate the 70th anniversary of the foundation of the Democratic People’s Republic of Korea [DPRK]. 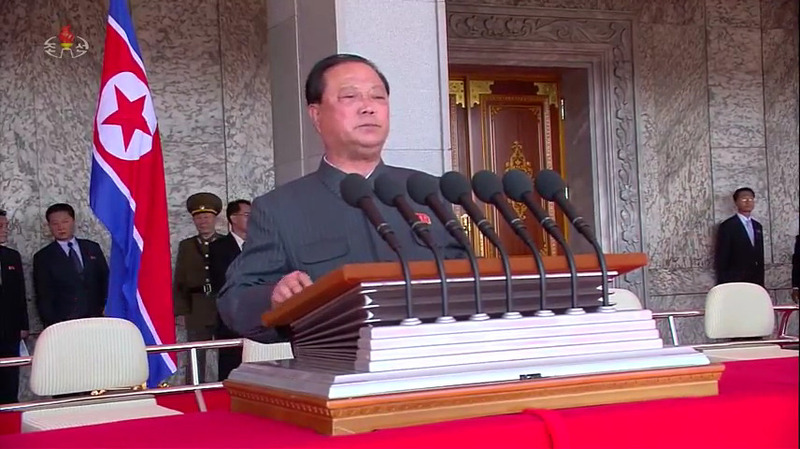 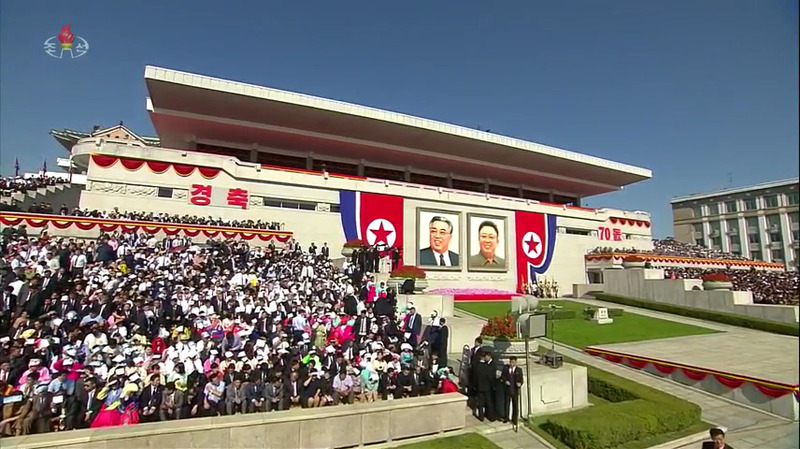 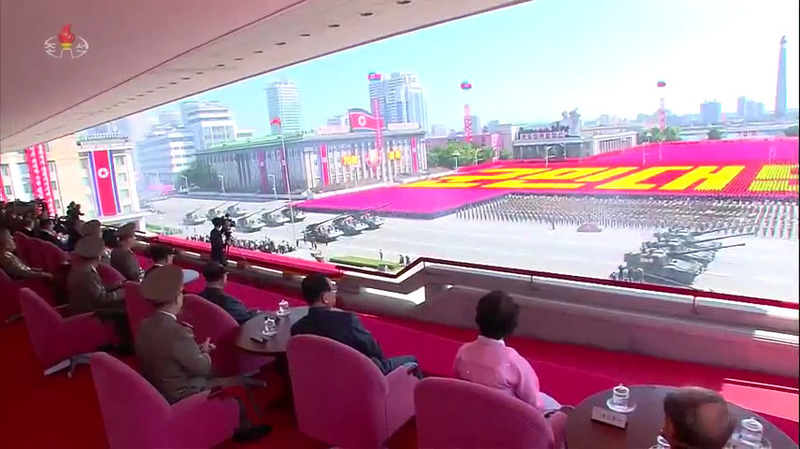 Kim Jong Un (Kim Cho’ng-u’n) along with members and alternate (candidate) members of the Workers’ Party of Korea [WPK] Political Bureau took the platform on the reviewing stand overlooking Kim Il Sung (Kim Il-so’ng) Square. 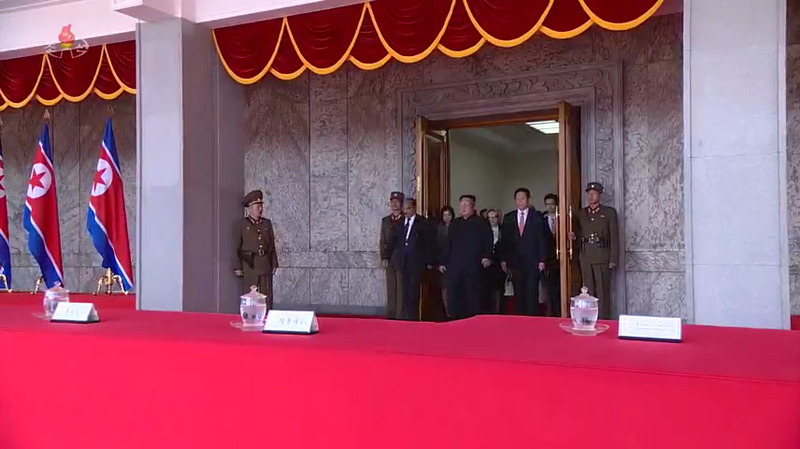 They were joined by representatives of overseas Korean delegations and foreign leadership VIPs including Li Zhanshu. 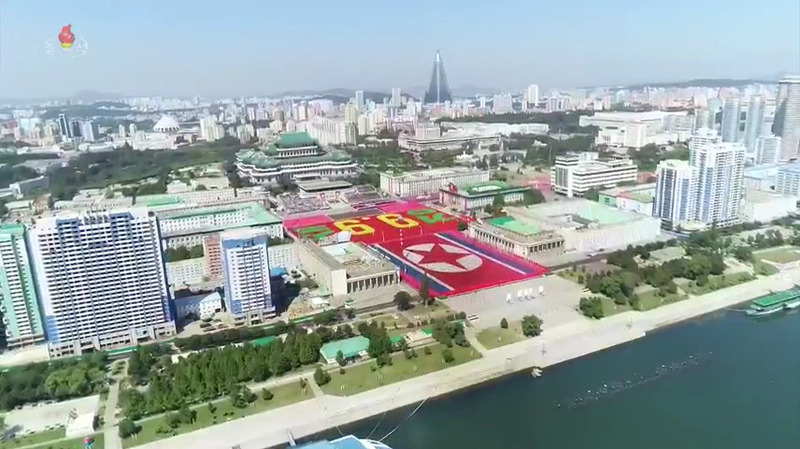 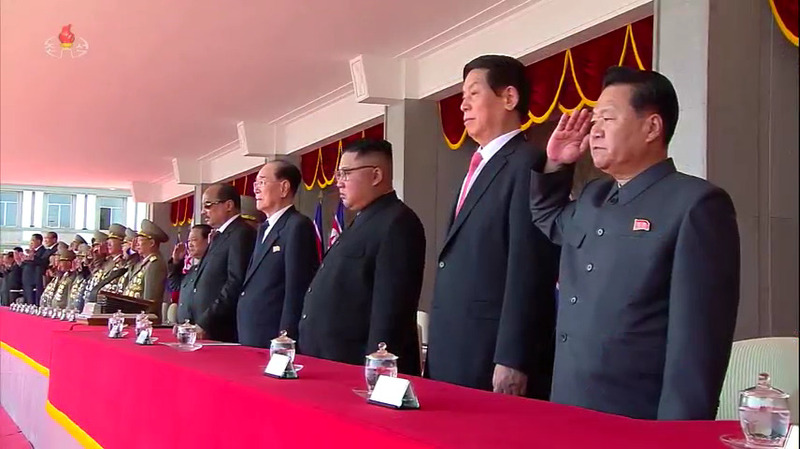 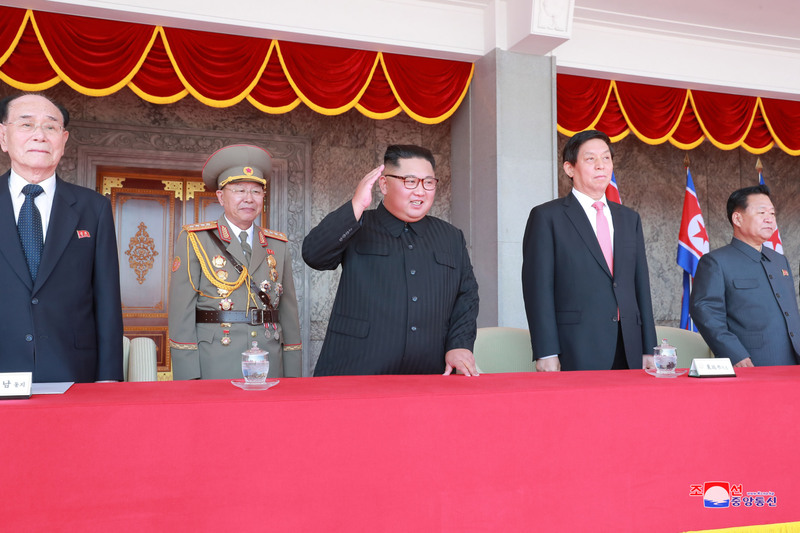 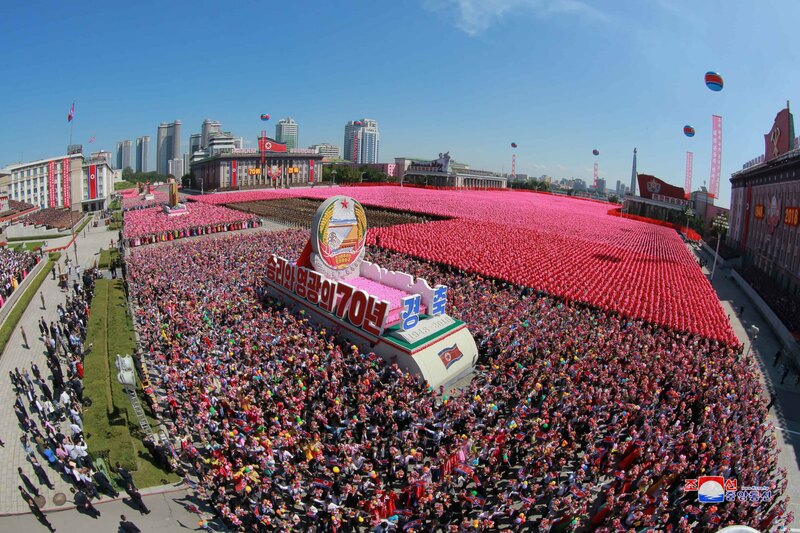 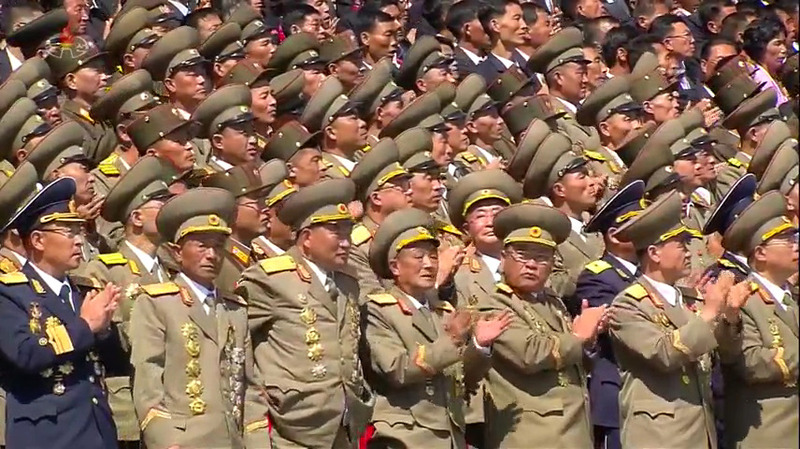 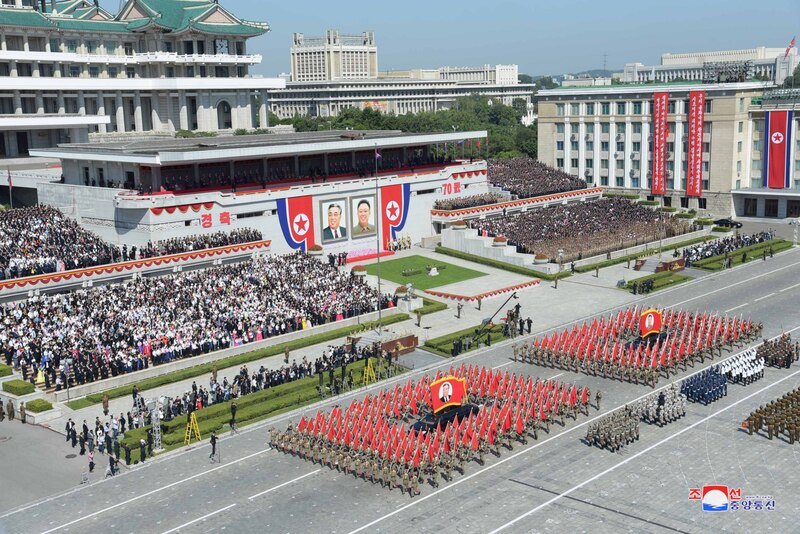 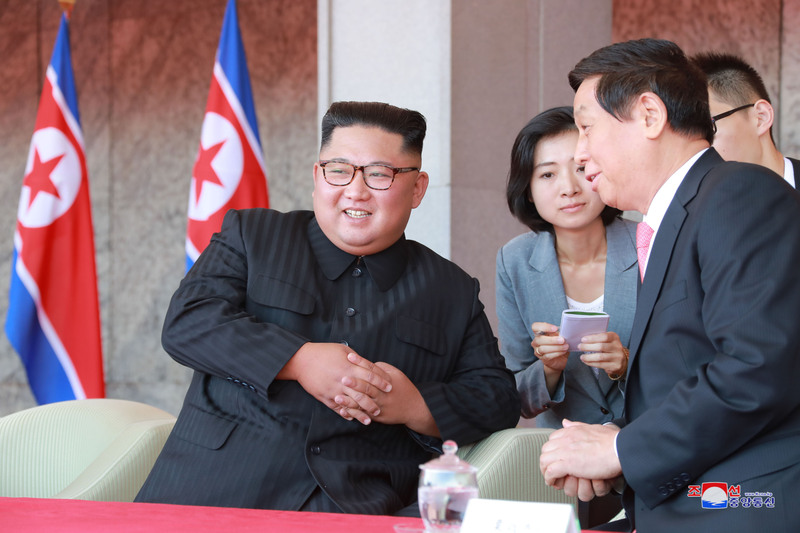 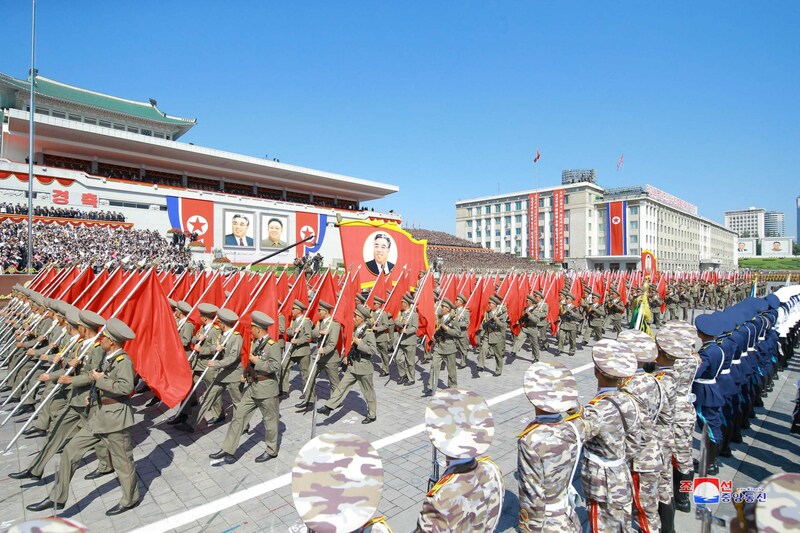 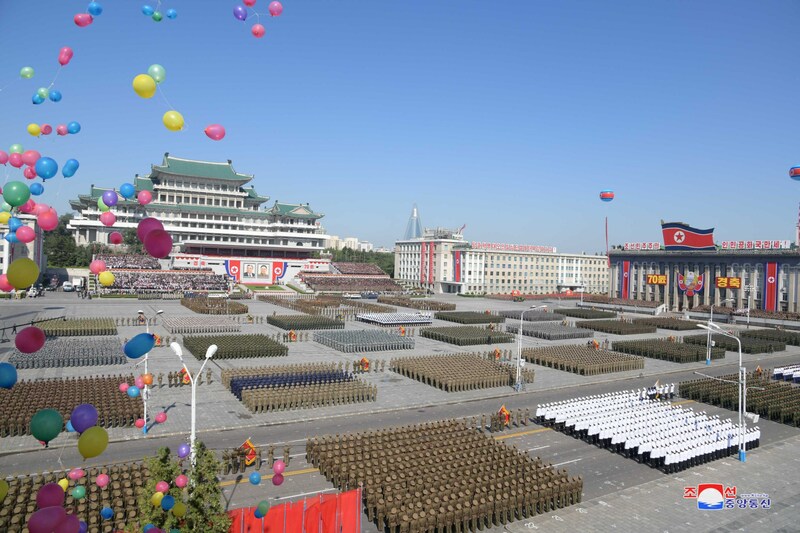 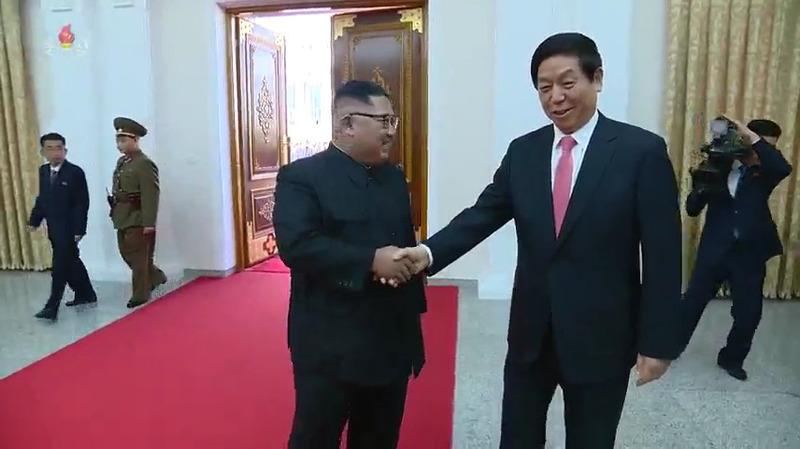 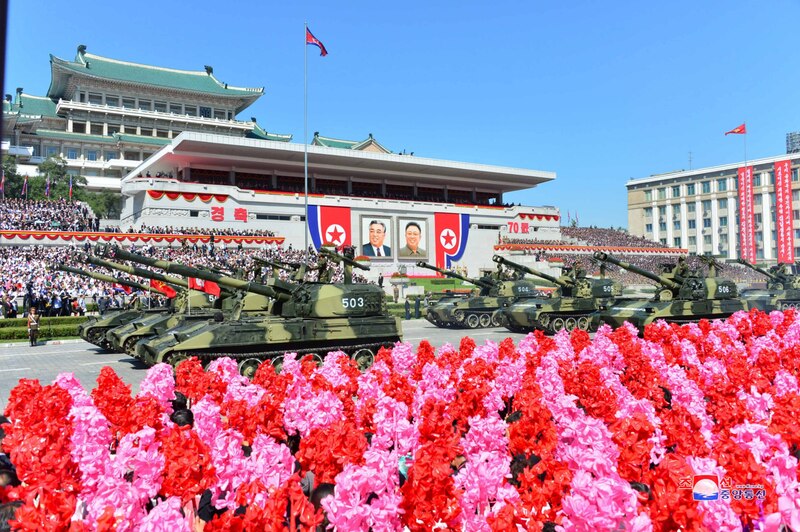 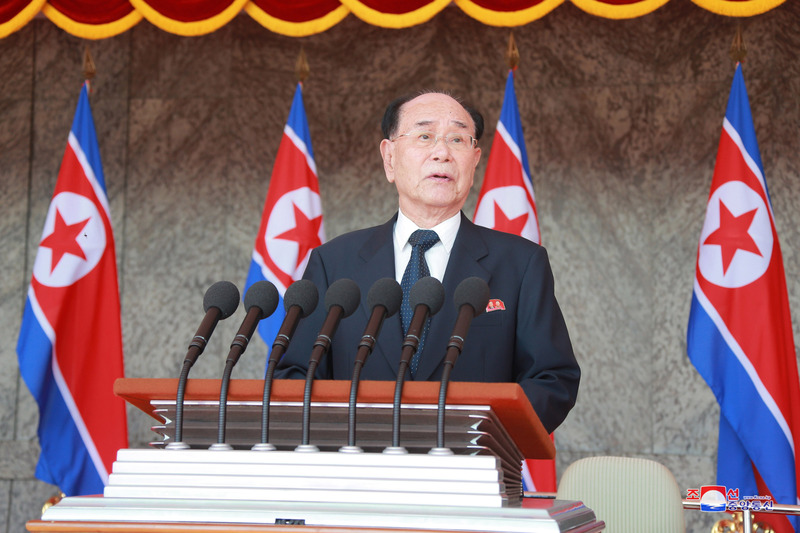 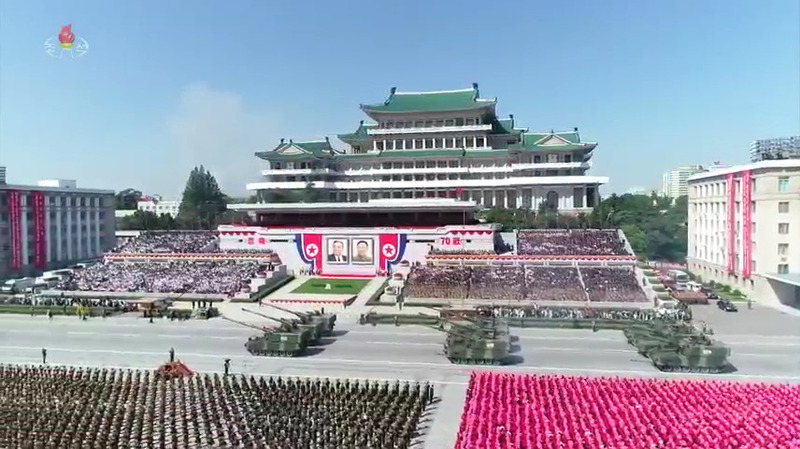 The grandstand and reserved seats were taken by leading officials of the WPK Central Committee, the Korean People’s Army [KPA], the Korean People’s Internal Security Forces [KPISF] and the DPRK Government. 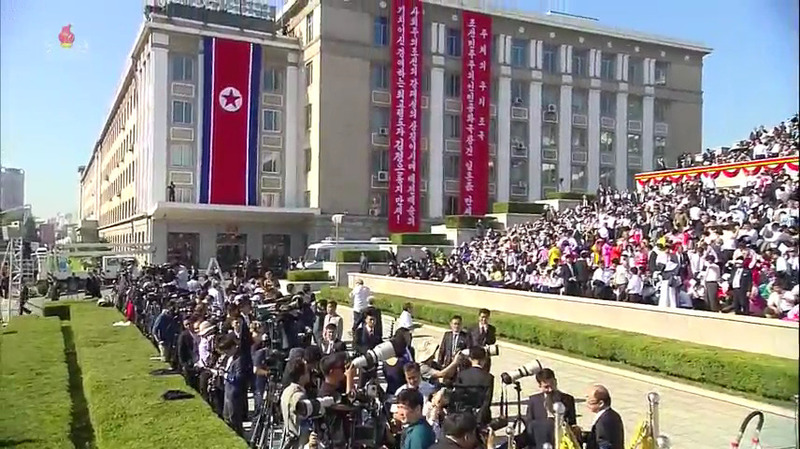 Also in attendance were various foreign delegations, members of the international media and Pyongyangites. 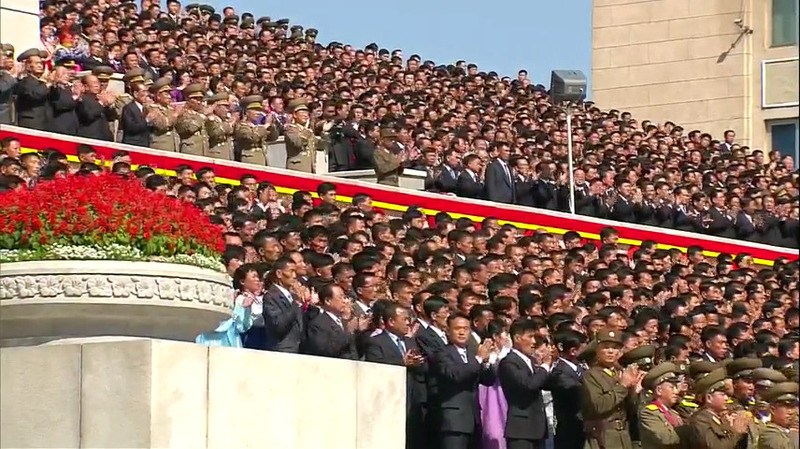 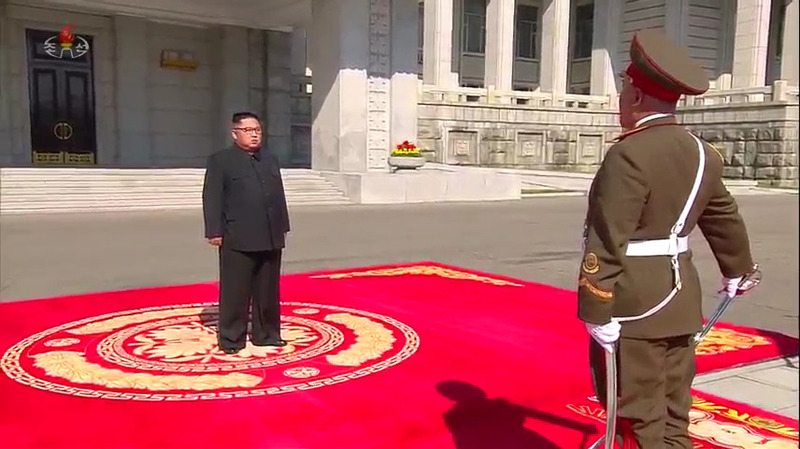 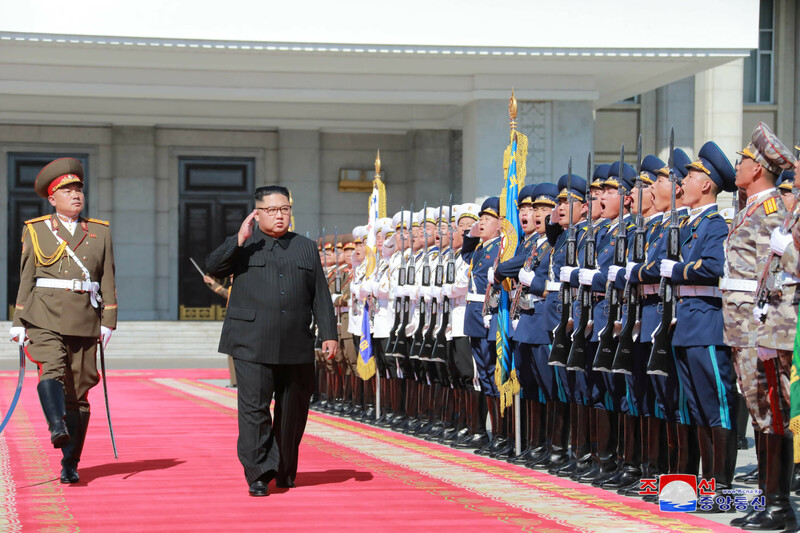 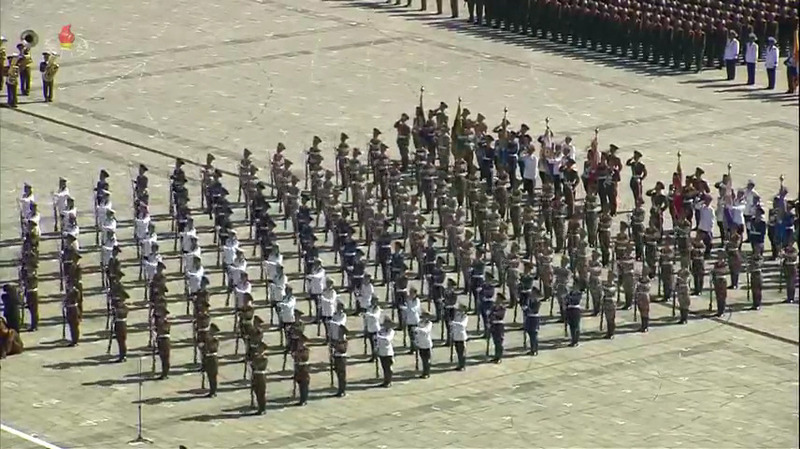 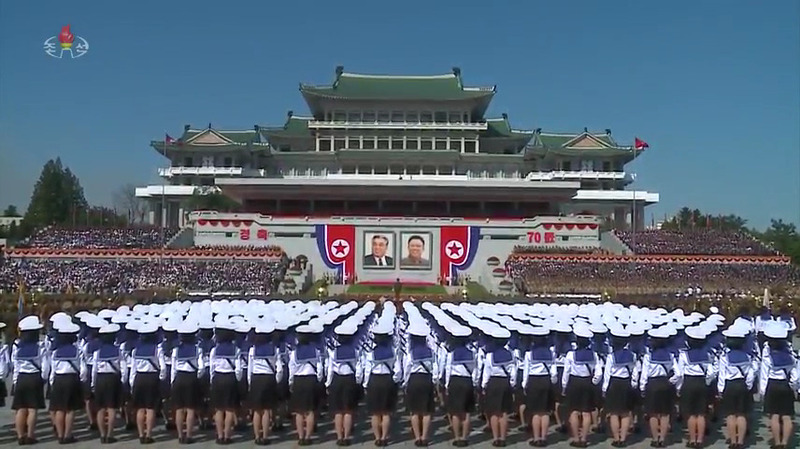 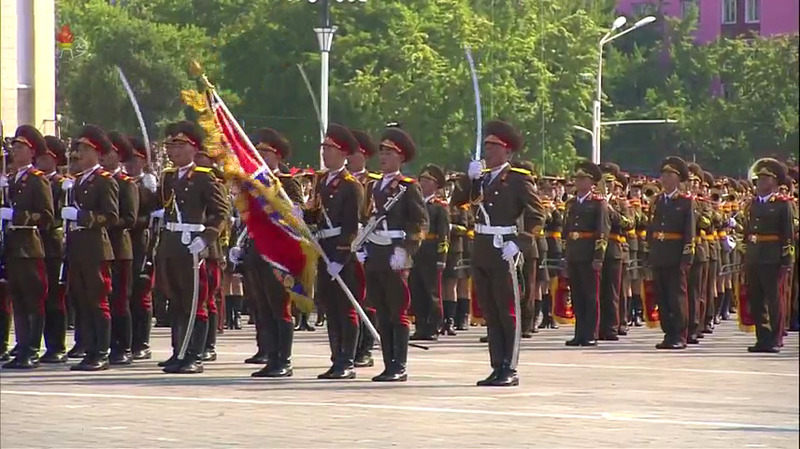 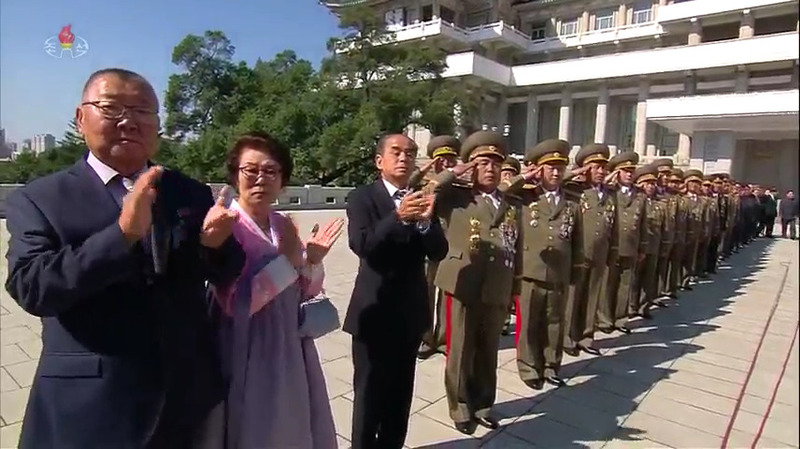 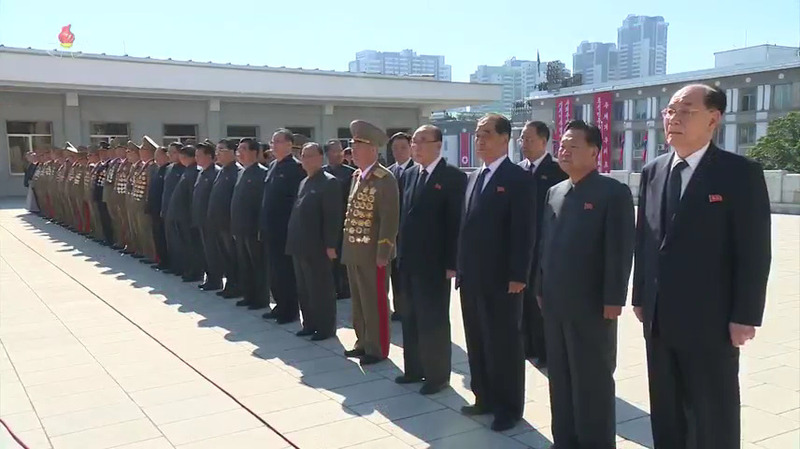 Prior to stepping out onto the reviewing stand, Kim Jong Un reviewed a KPA honor guard then led senior DPRK officials onto the reviewing stand. 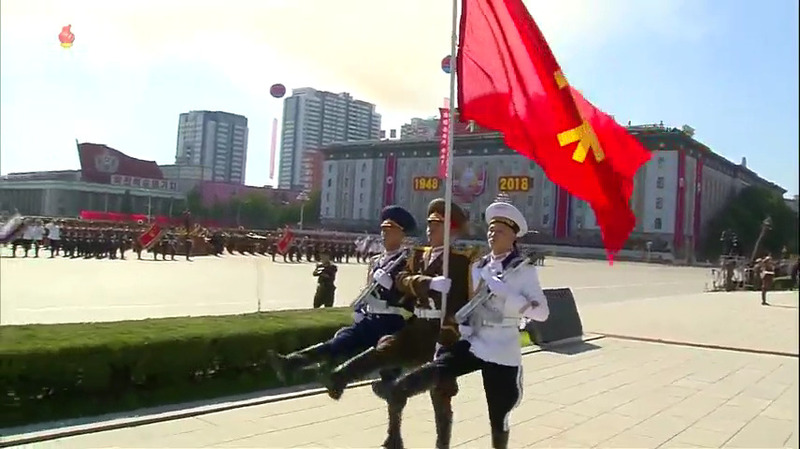 KPA Honor Guard and Combined Band of the KPA got things rolling with a music program, a sword dance and a KPA silent drill team. 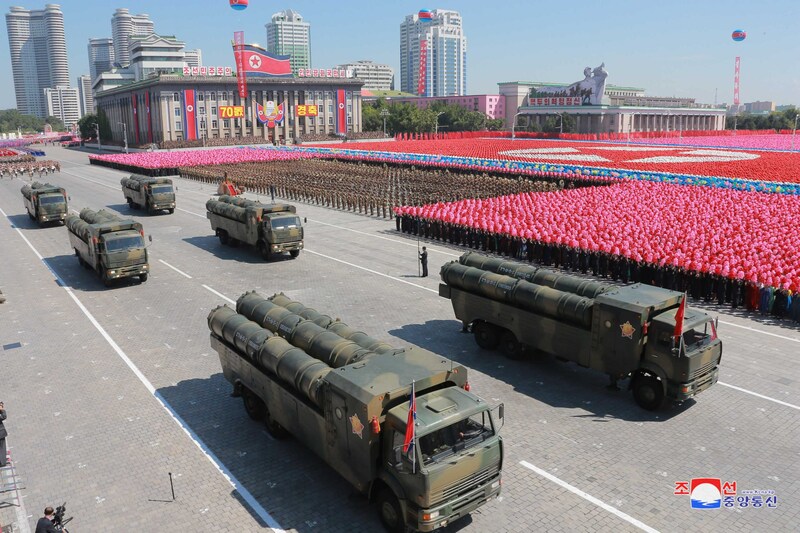 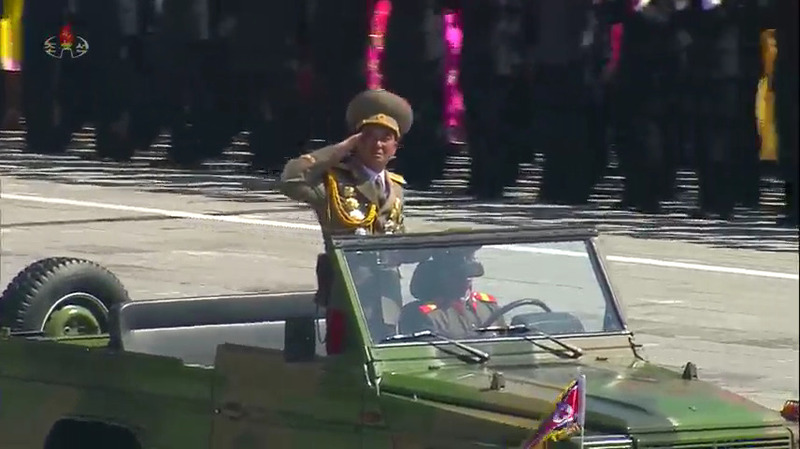 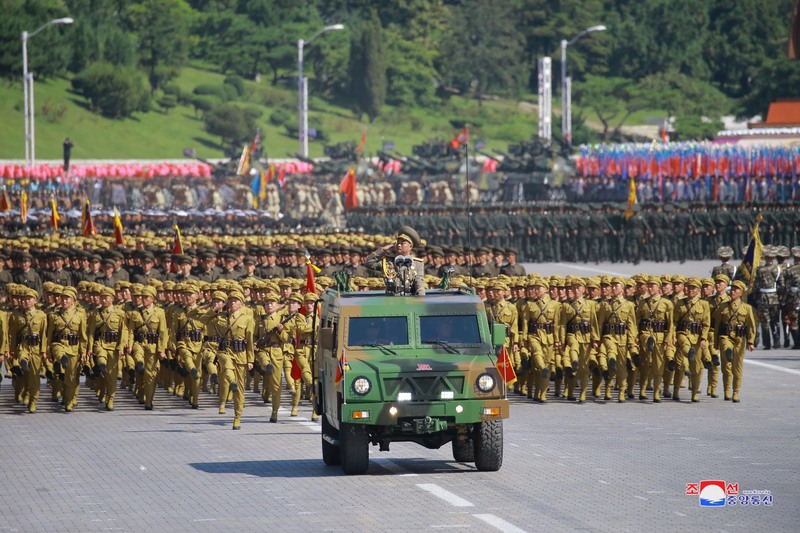 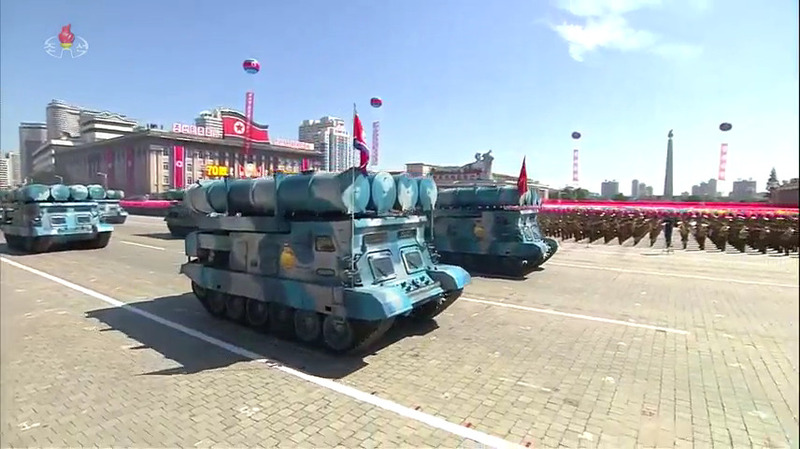 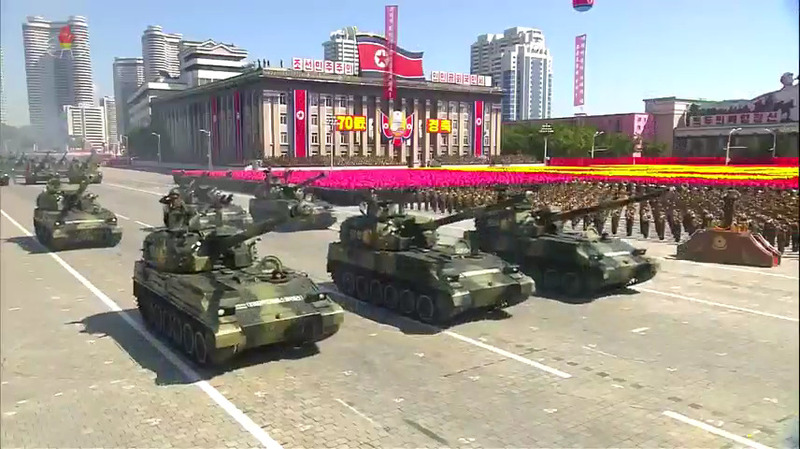 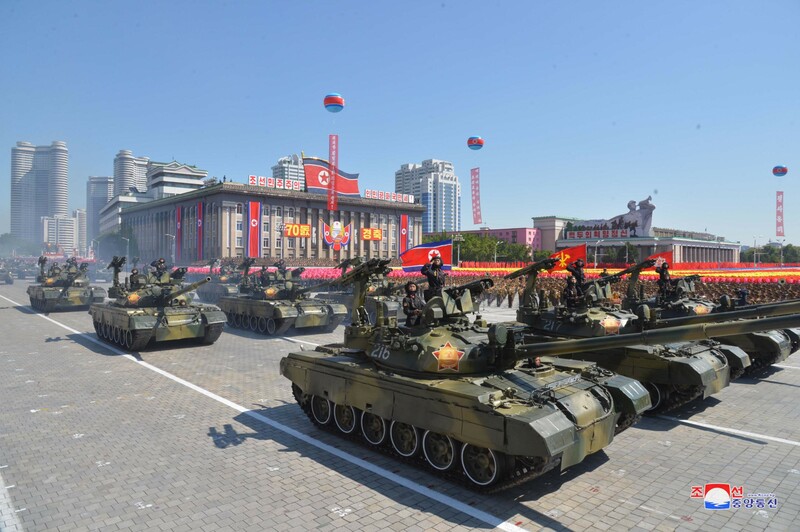 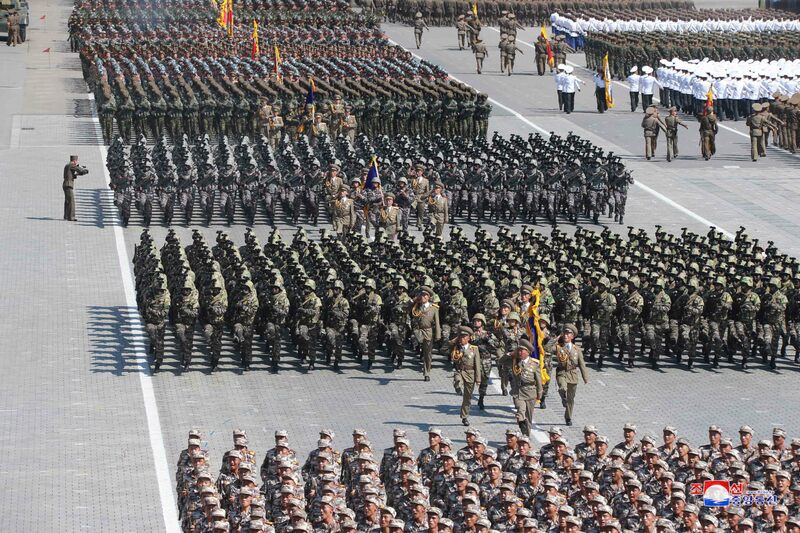 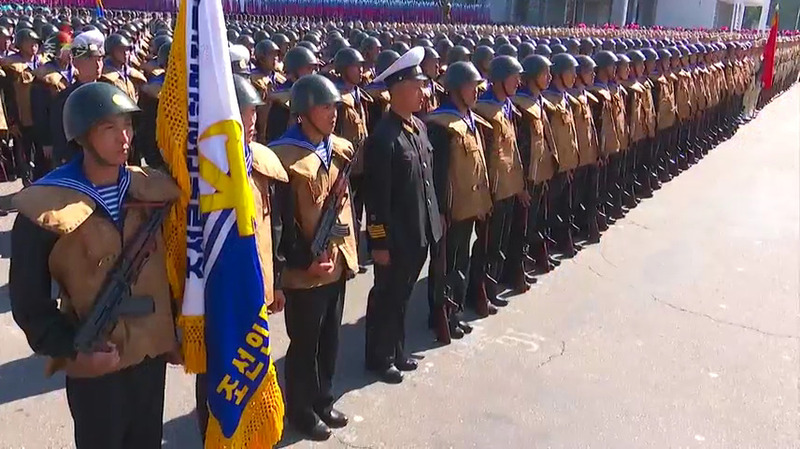 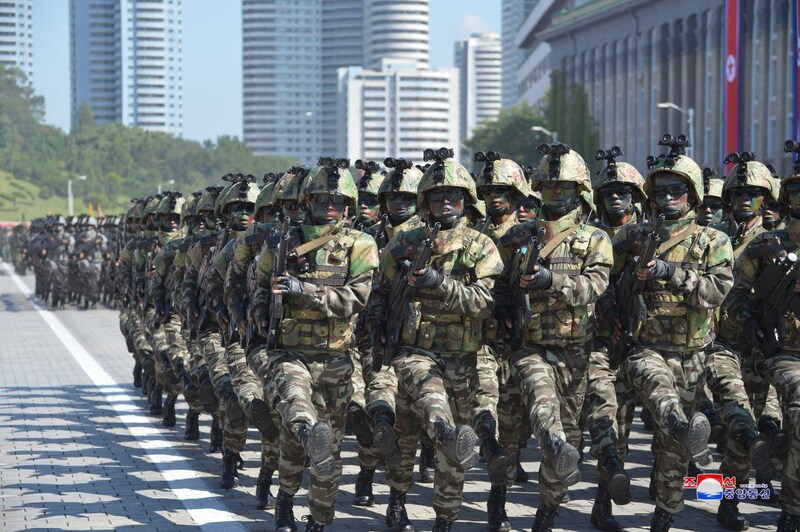 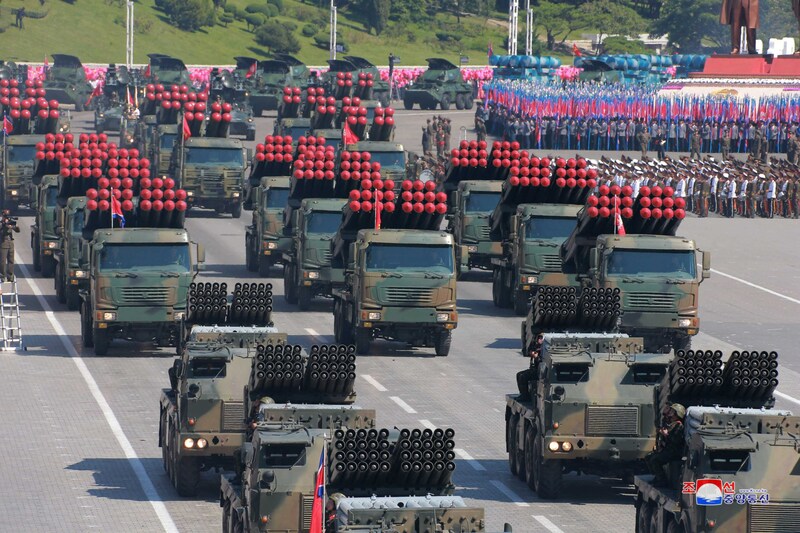 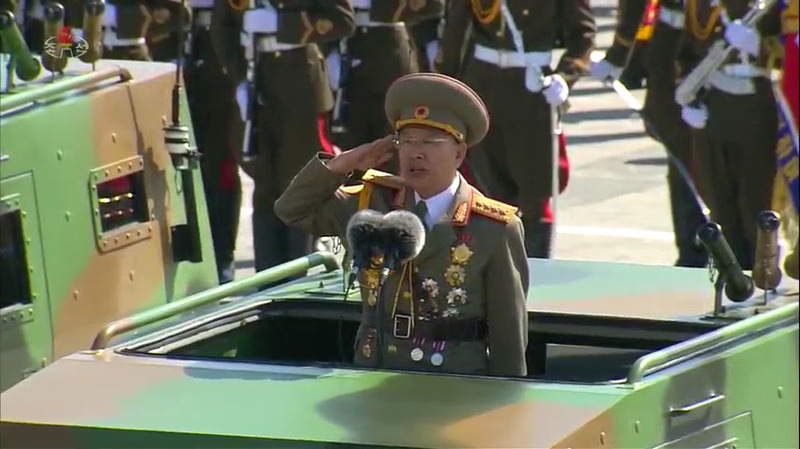 Gen. Ri Yong Gil, Chief of the KPA General Staff, inspected the units participating in the parade then delivered a report that KPA officers, service members and pieces of equipment were ready to begin the parade. 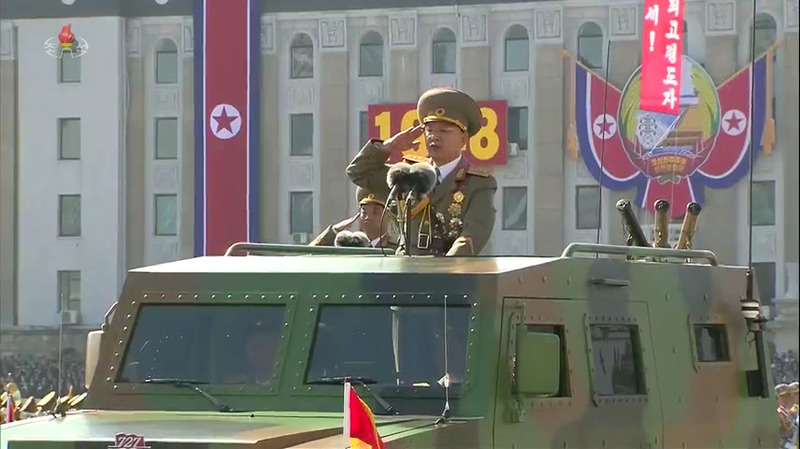 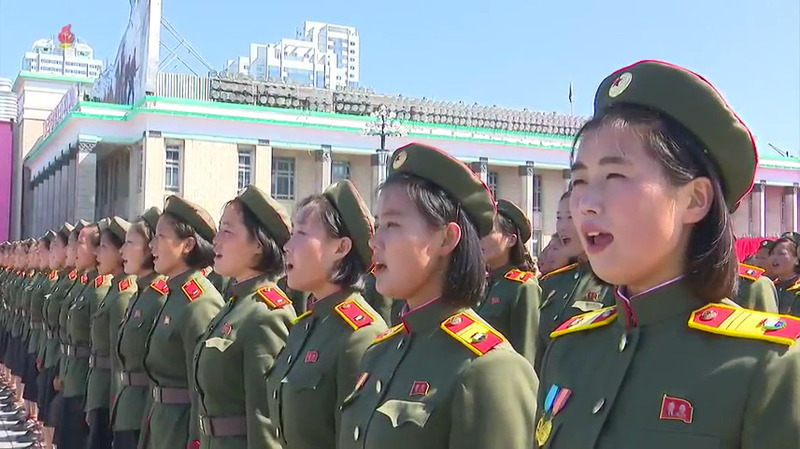 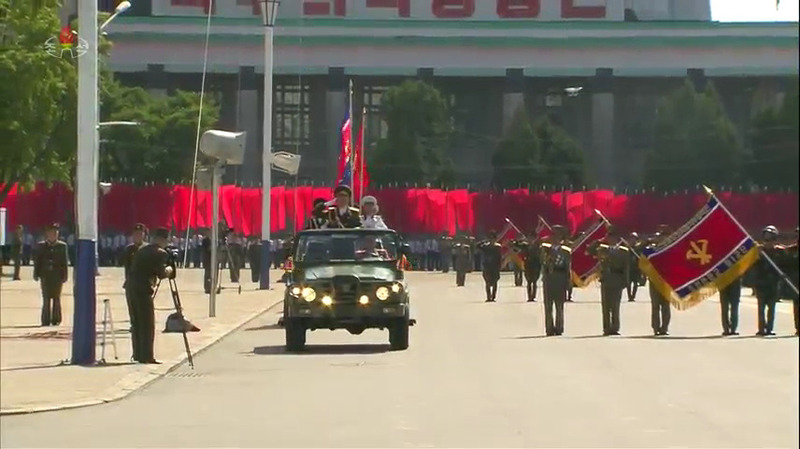 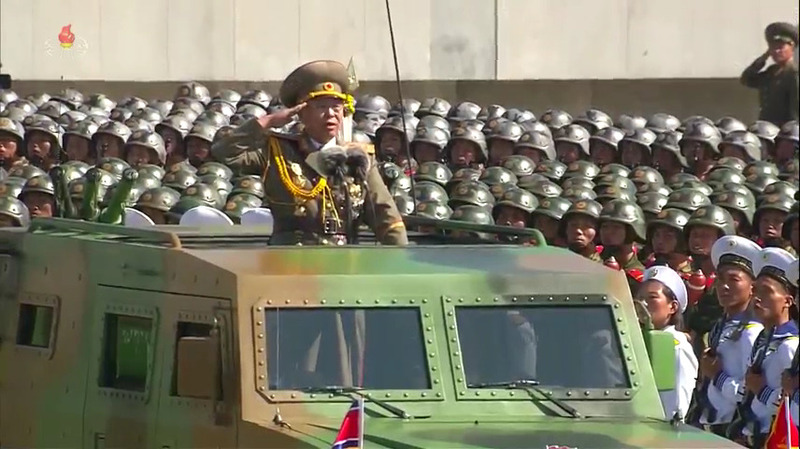 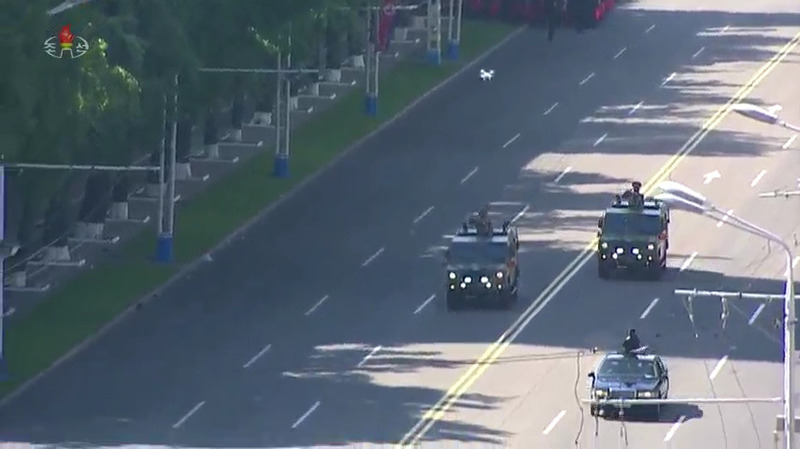 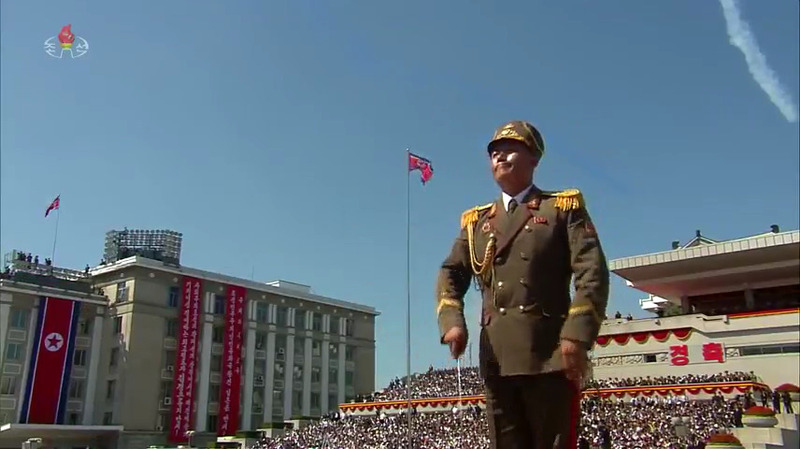 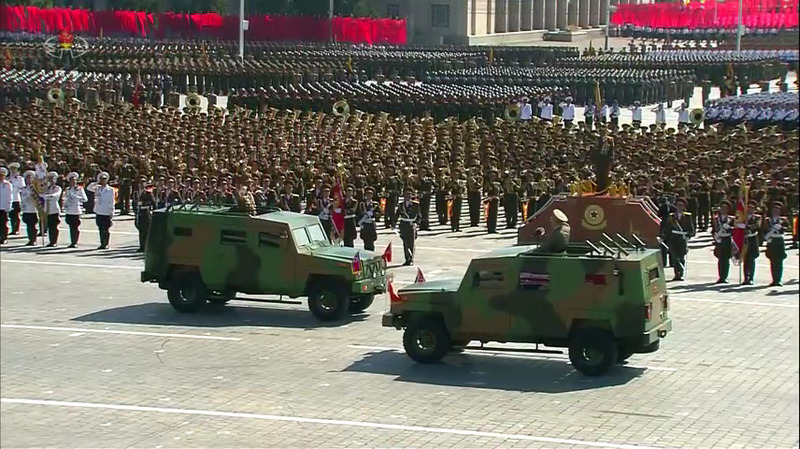 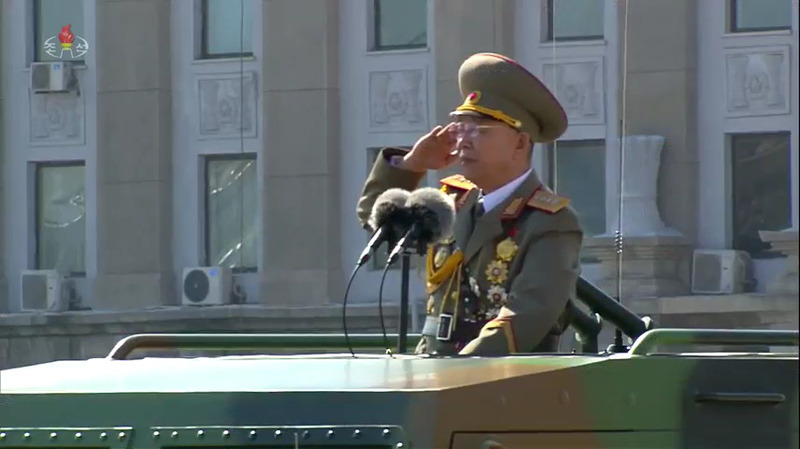 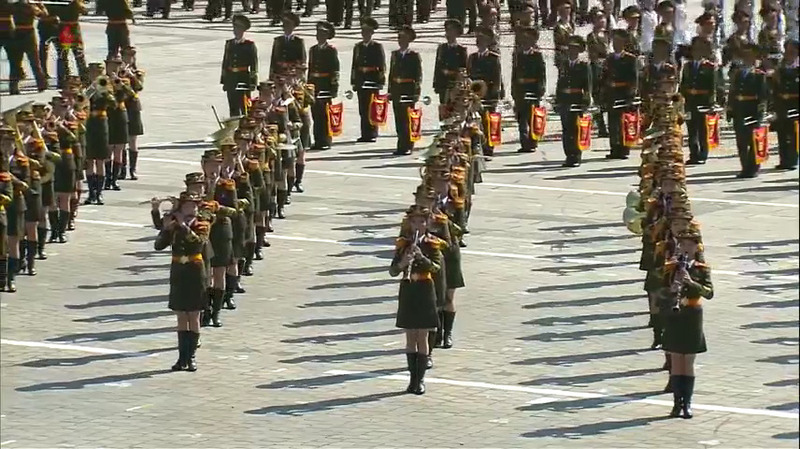 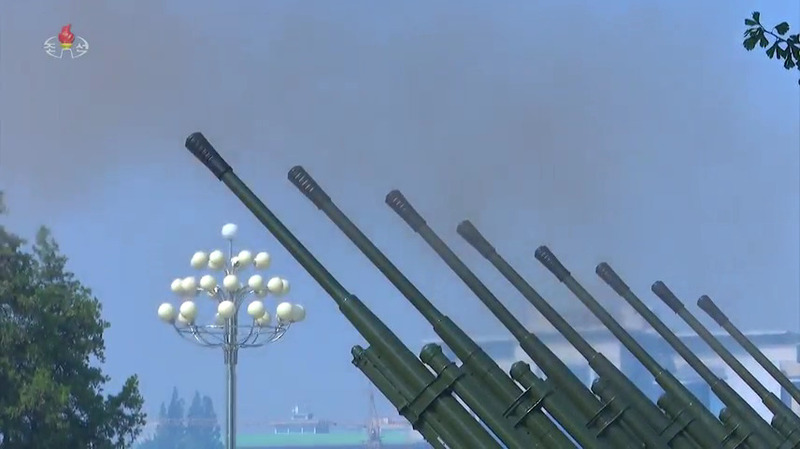 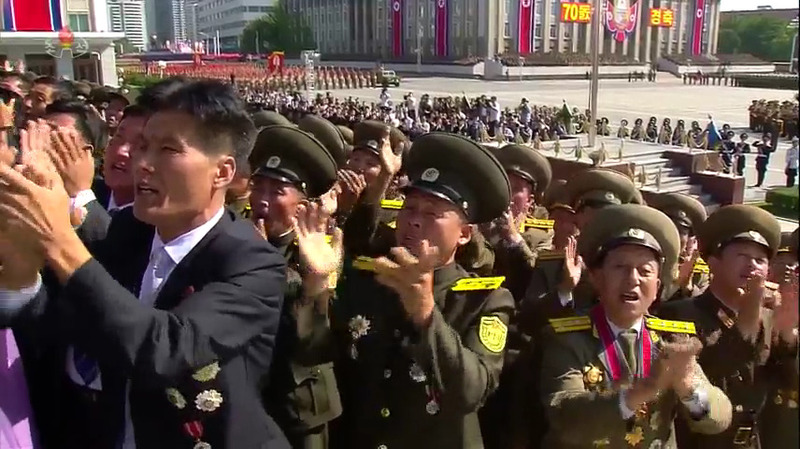 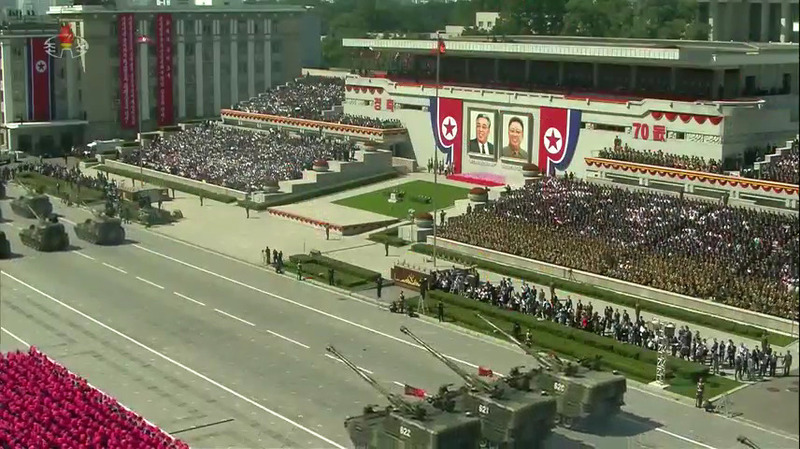 Solemn tunes “Song of General Kim Il-so’ng” and “Song of General Kim Cho’ng-il” played and a 21-gun salute fired off some rounds. 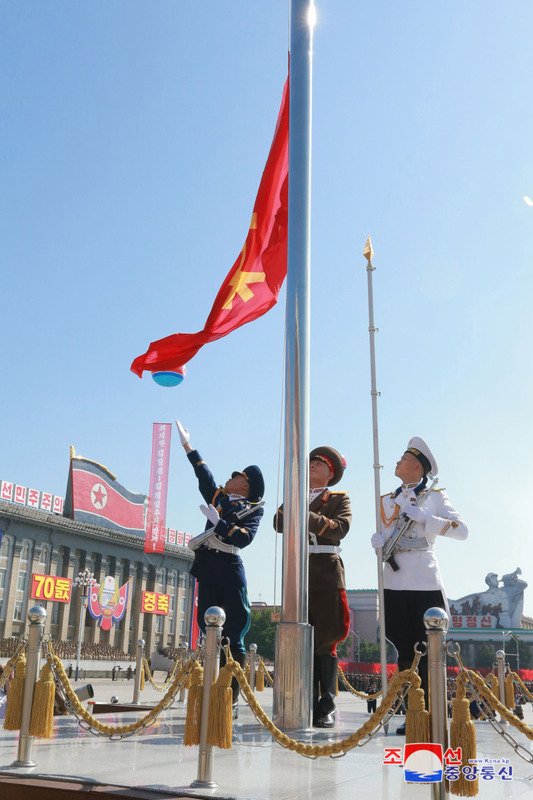 The 70-year long history of the DPRK is the one of gigantic change and great victory in which it, once a backward country, has towered as a powerful socialist country with an invincible might. 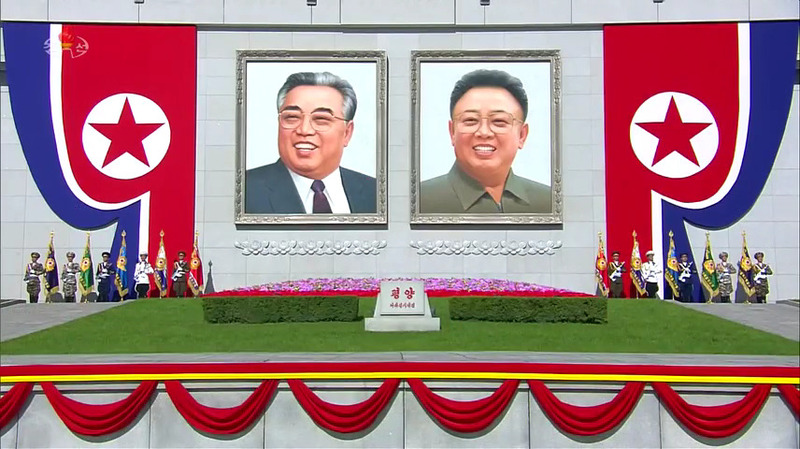 Under the leadership of President Kim Il Sung and Chairman Kim Jong Il the DPRK developed into the dignified country of people which embodied the Chuch’e-oriented socialist state building idea and fortress independent in politics, self-supporting in the economy and self-reliant in national defence and strong foundation for building a powerful country was laid and this is the most brilliant victory in opening the destiny of our nation. 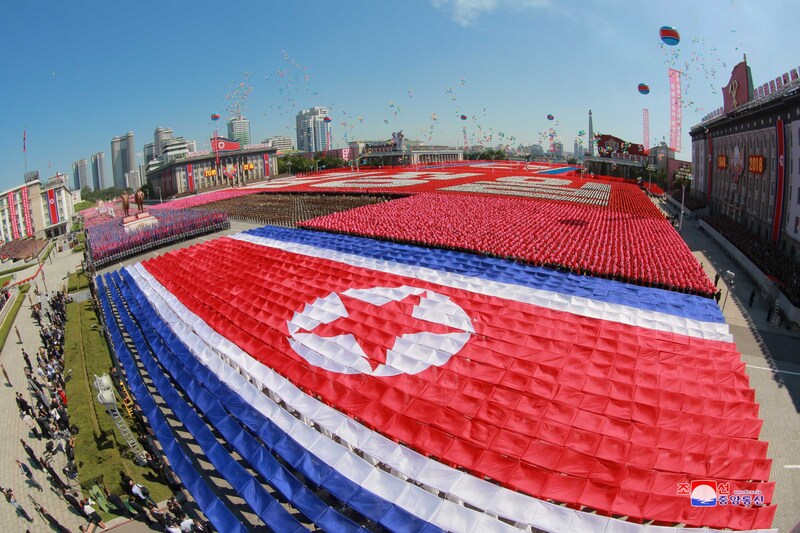 All the people should strive for the eternal prosperity of the country and the accomplishment of the socialist cause, firmly united around Kim Jong Un. 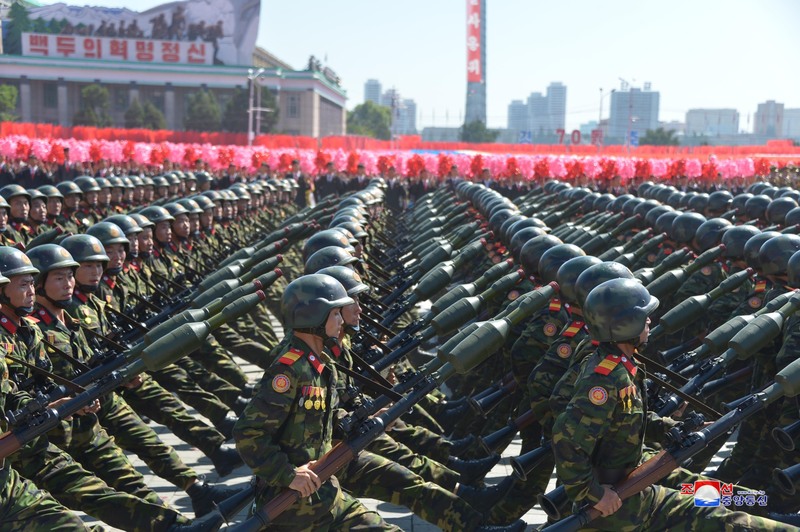 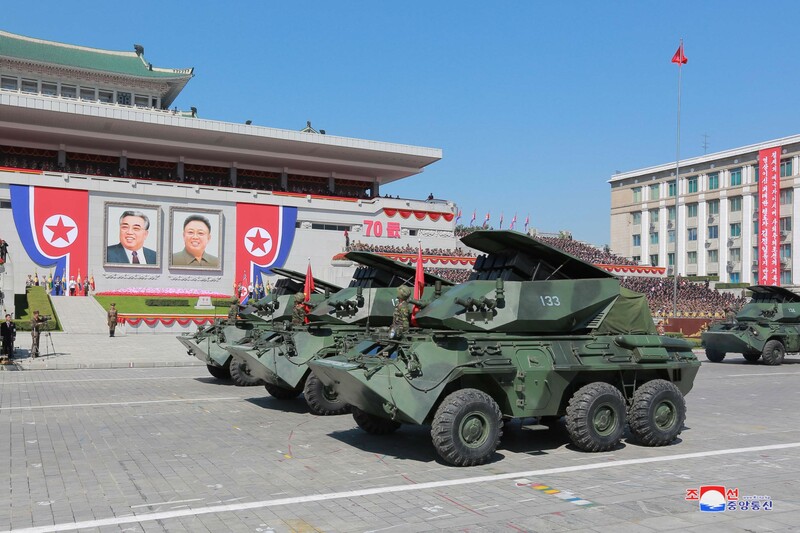 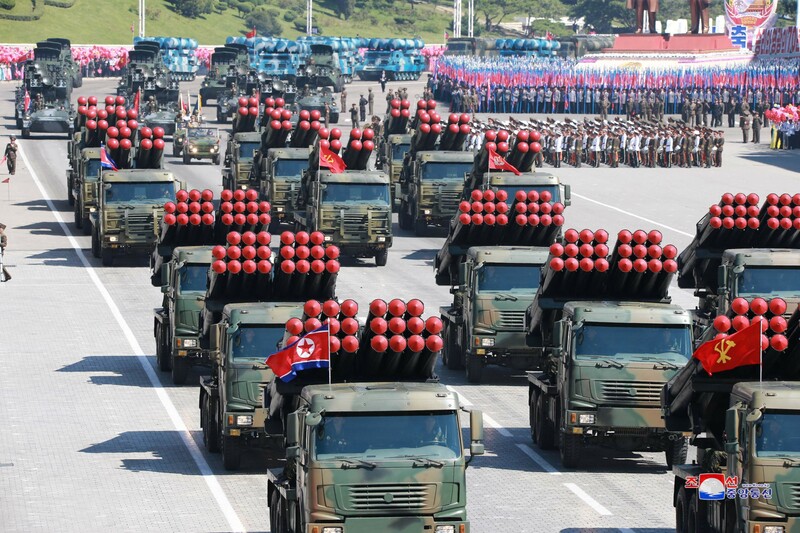 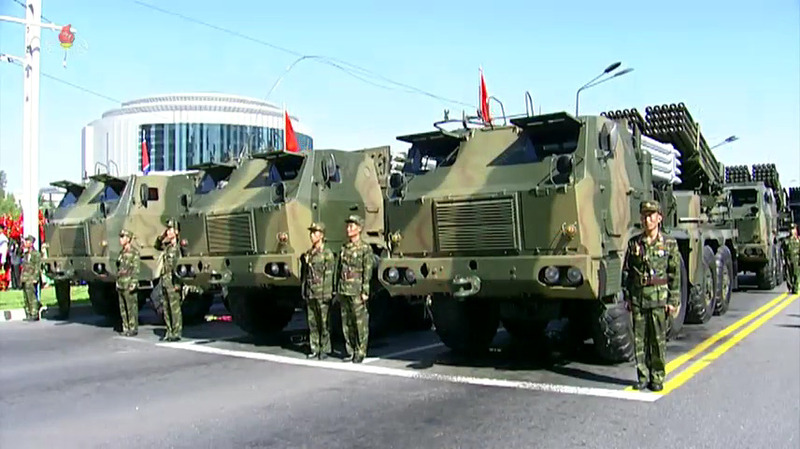 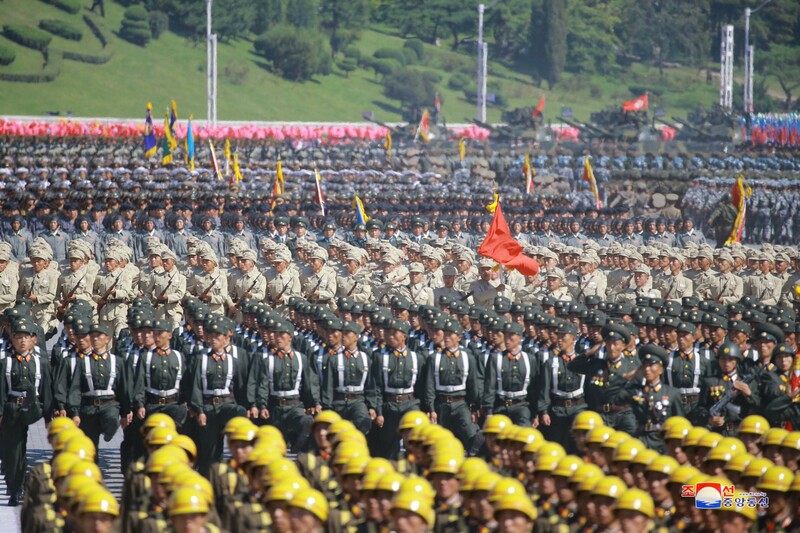 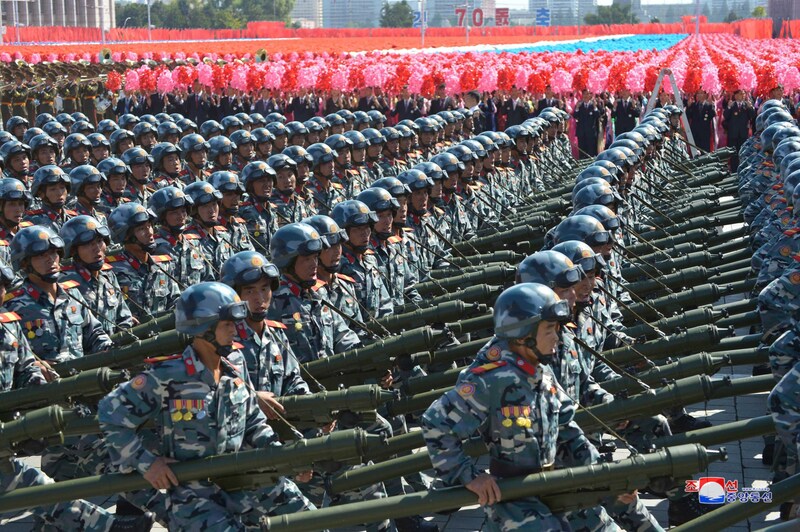 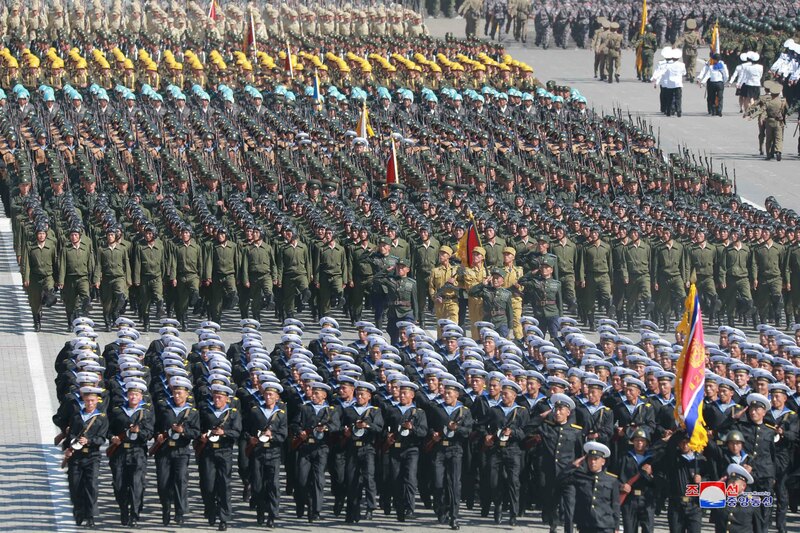 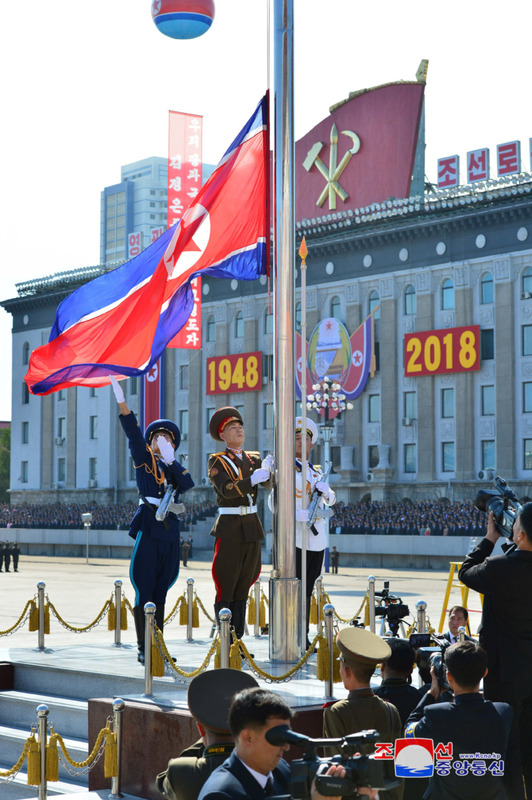 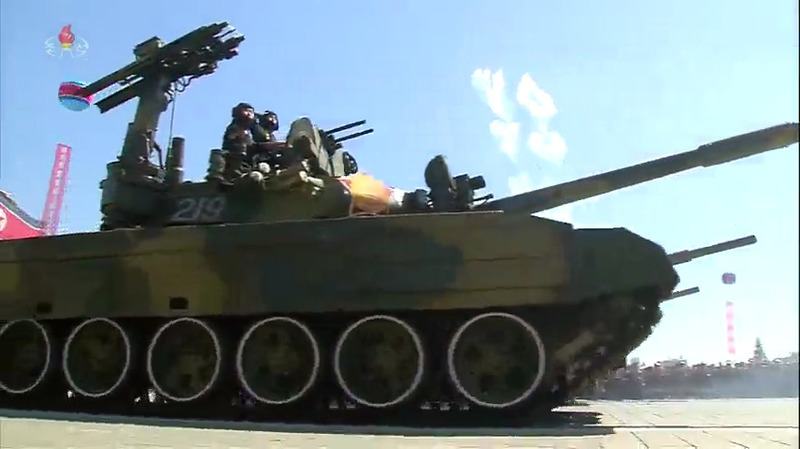 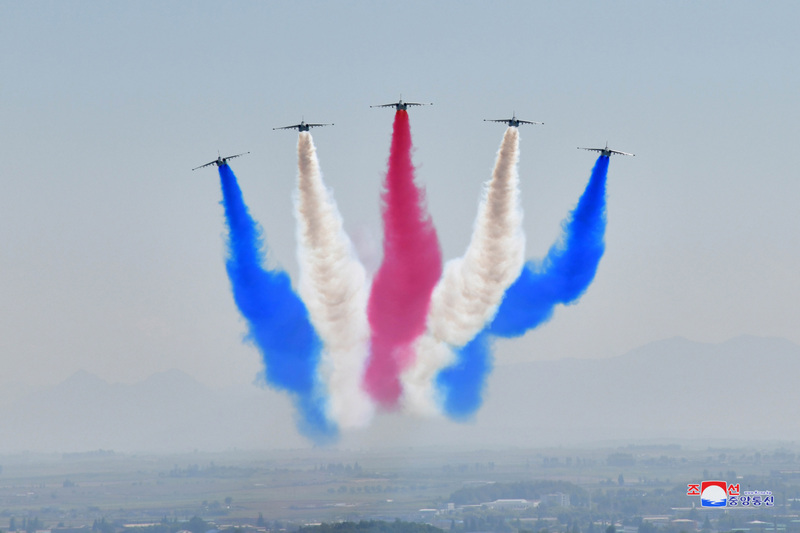 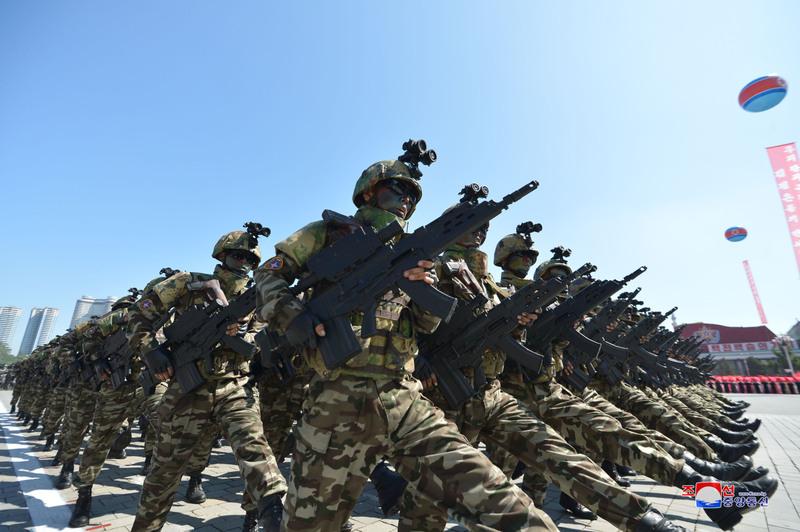 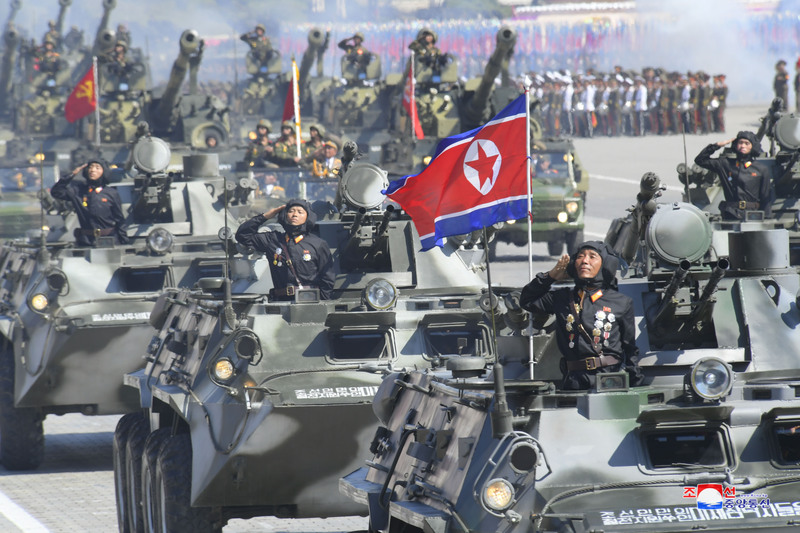 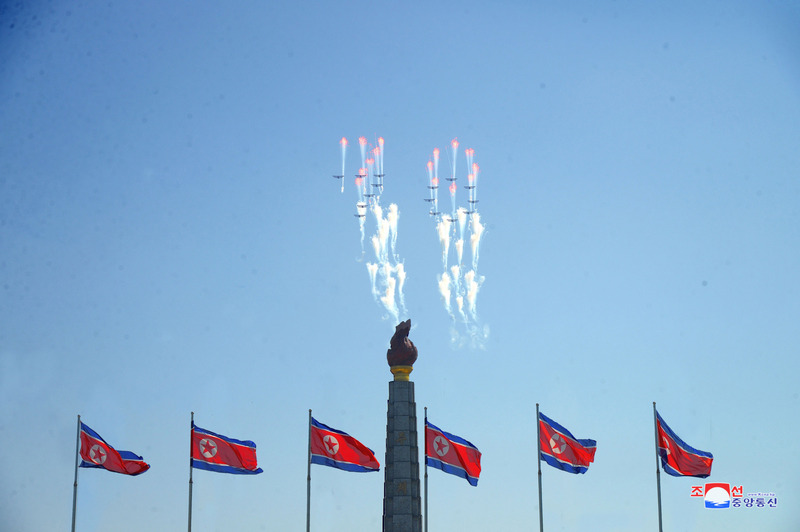 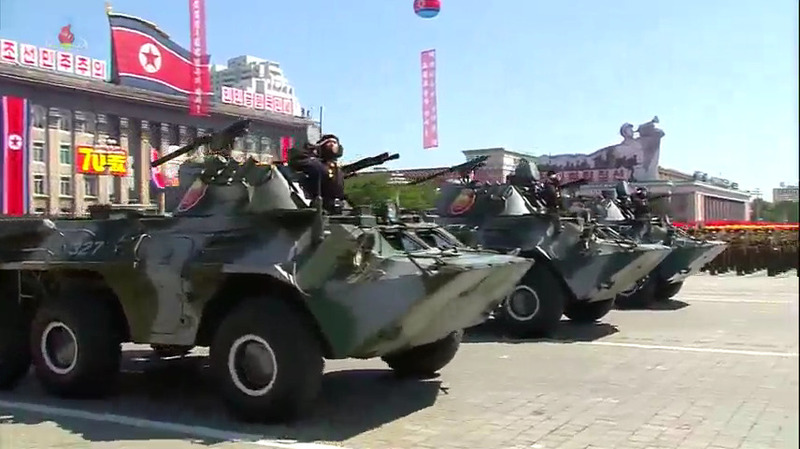 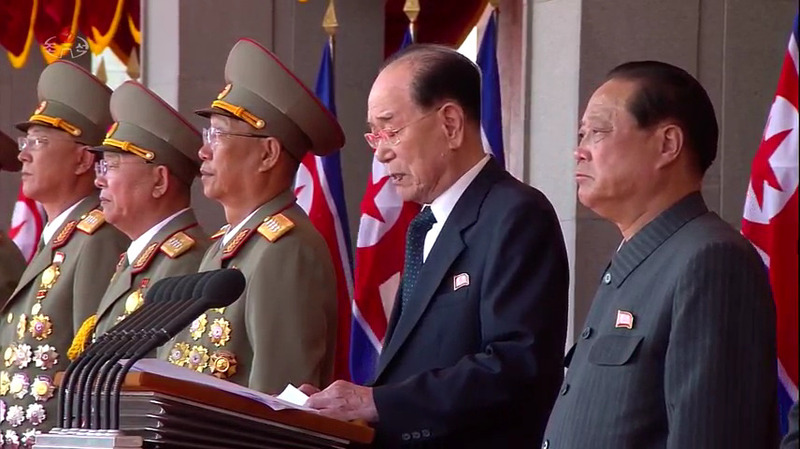 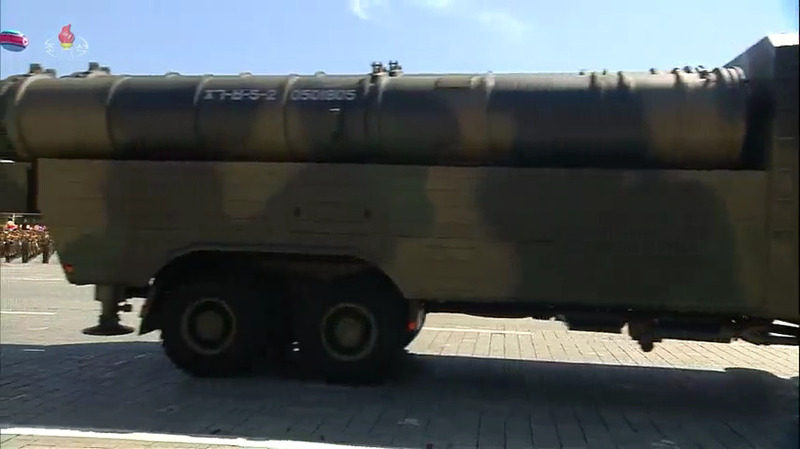 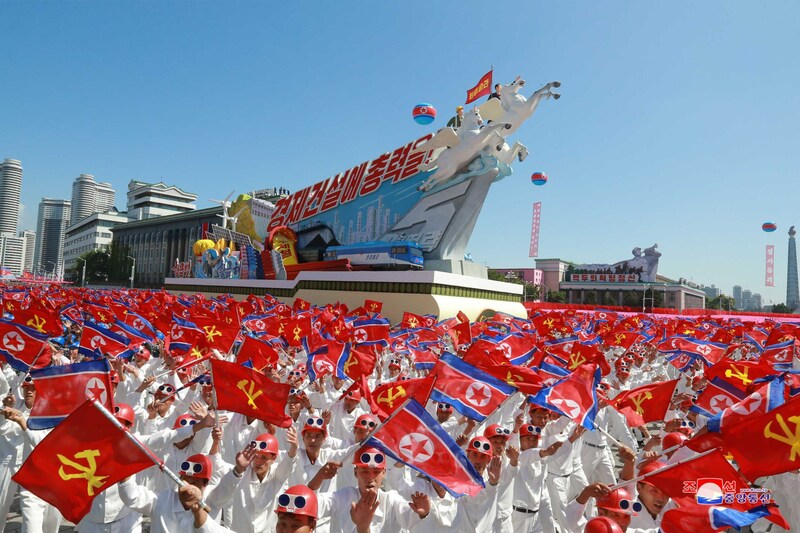 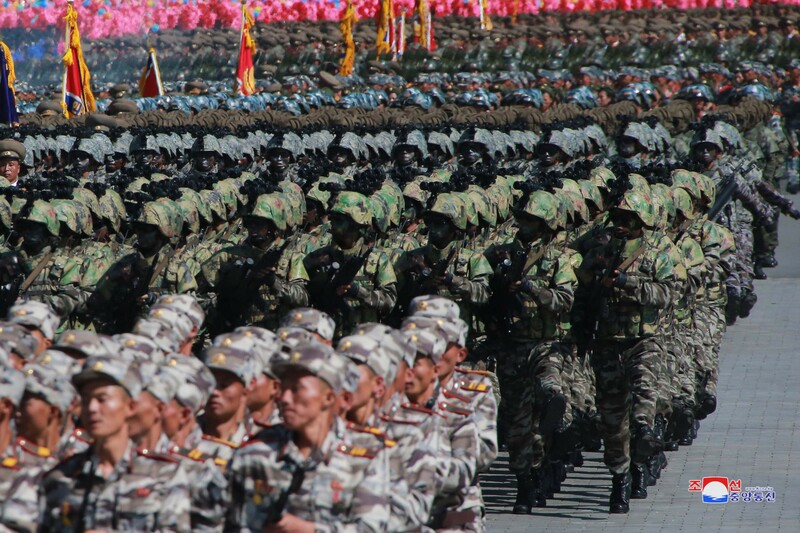 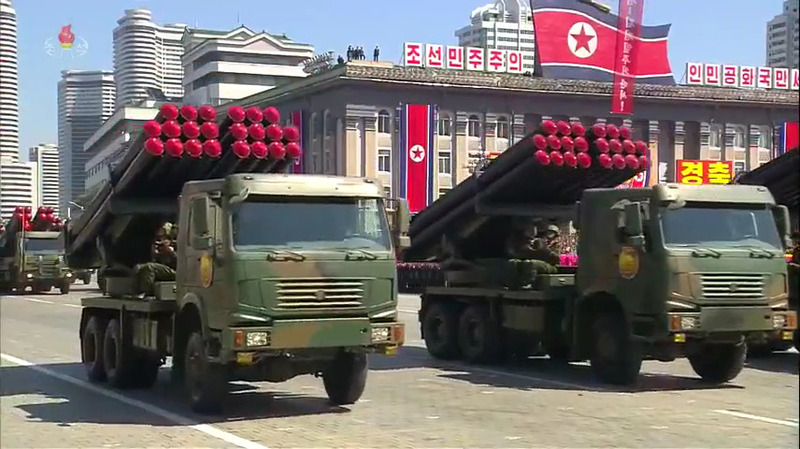 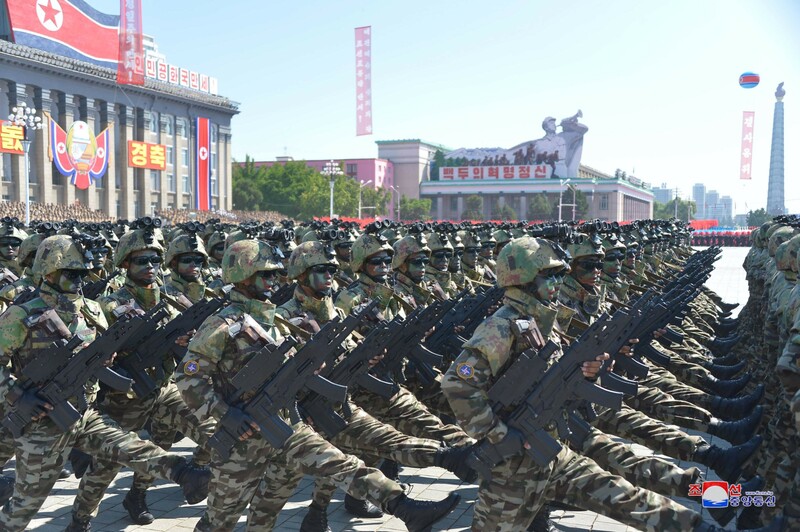 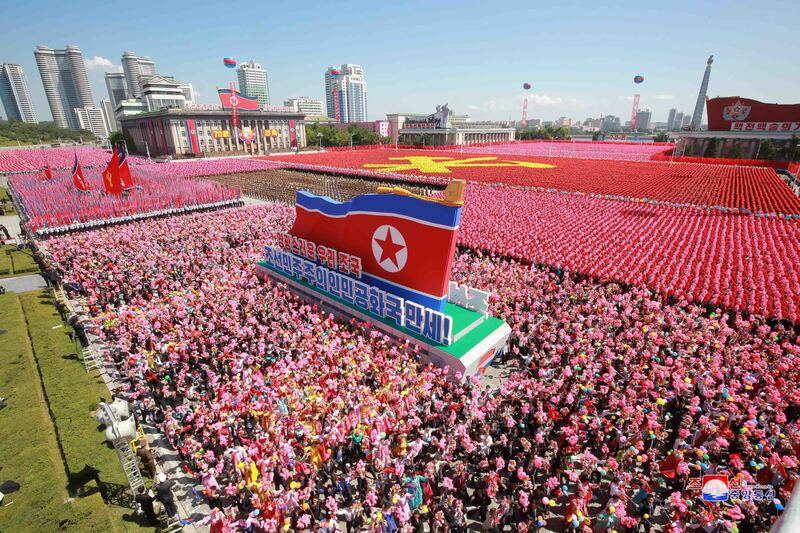 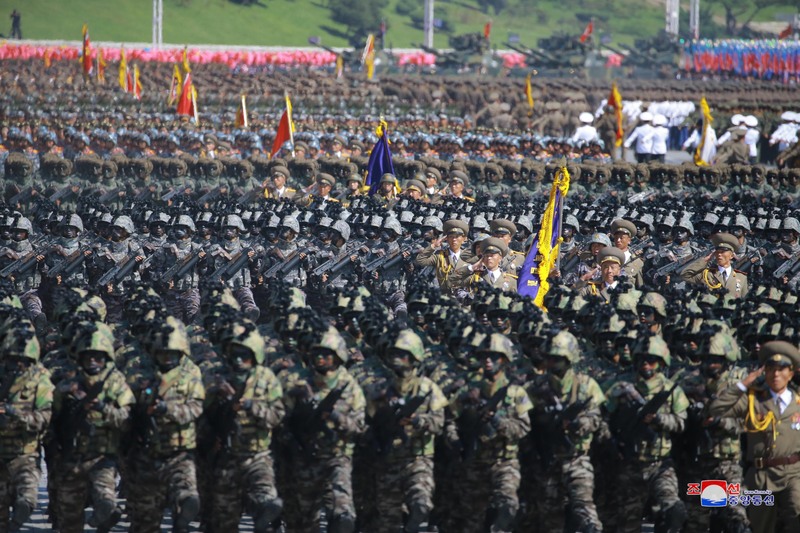 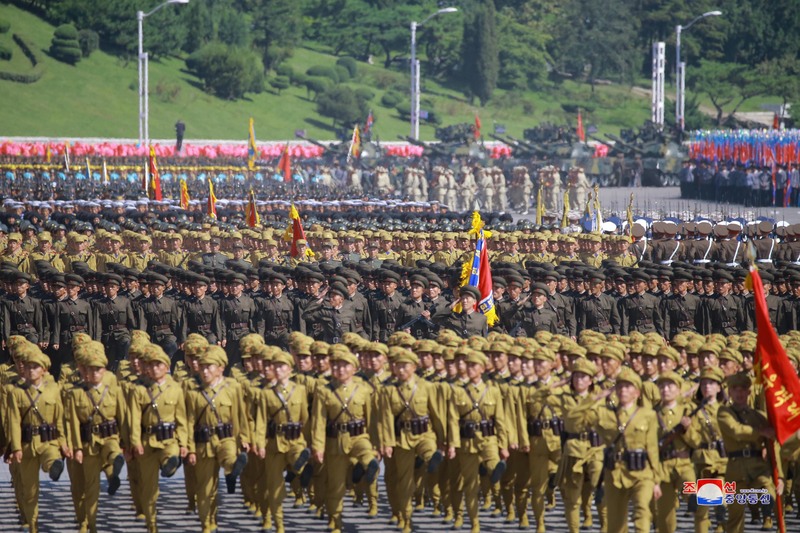 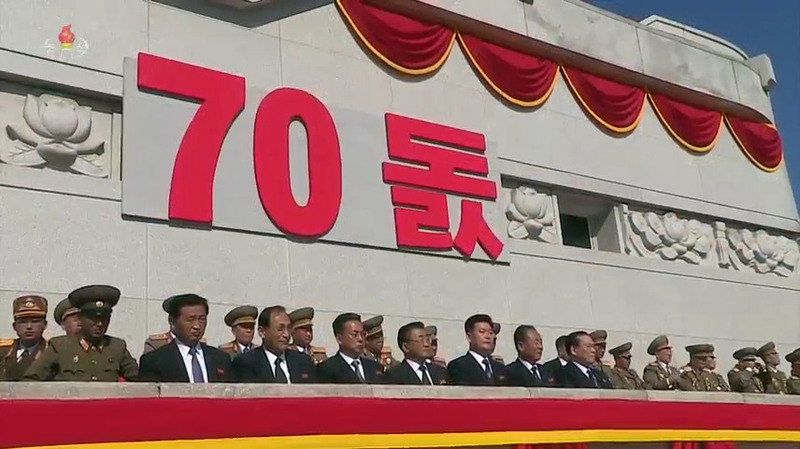 This article was written on 18 Sep 2018, and is filled under 108th Mechanized Division, Agitation Section, Central Broadcasting Committee, Central Committee, Central Military Committee, Central Party Affairs/Cadres 5th Section, Choe Ryong Hae, corps command, corps commanders, critical infrastructure, Culture Section (bureau), DPRK 70th Anniversary (September 9, DPRK Cabinet, DPRK External Relations, DPRK Premier, DPRK-China Relations, Events Management Section, Executive Policy Bureau, Foundation Day (September 9th), Gen. Choe Pu Il, Gen. Jo Kyong Chol, Gen. Ri Myong Su, Gen. Ri Yong Gil, Gen. Yun Tong Hyon, General Affairs, gsd, gsob, Guard Command, ideological slogans, Information Section, KCNA, KCTV, Kim Chong-un inspections, Kim Family, Kim Il Sung Youth League, Kim Jong Un Visits, Kim Jong-il, Kim Jong-un, Kim Yo Jong, Kim Yo-chong, Kim Yong Nam, kisyl, KJI Personal Secretariat, Korean Democratic Women's Union, Korean People's Air Force, Korean People's Air Force [KPAF], Korean People's Army Air Force, Korean People's Internal Security Forces, Korean People's Army (KPA), Korean Social Democratic Party, Korean Workers' Party (KWP), KPA East Command Zone, KPA External Relations, KPA General Logistics Department, KPA General Political Bureau, KPA General Political Department, KPA General Staff, KPA infantry corps, kpa IV army corps, KPA Large Combined Units, KPA multiple-launch rocket systems, KPA Party Life, KPA supernumerary organizations, KPA West Sea Command, KPA WPK Committee, kpif, local people's committees, Main Office of Adjutants (Central Party Office #6), Mechanized Command, Military Affairs, military security command [msc], Ministry of Culture, ministry of people's security, Ministry of State Security, Ministry of the People's Armed Forces (MPAF), MPAF GPB, Navy Command, North Korean press, O Kuk Ryol, O Kuk-yol, On the Spot Guidance, Operations Bureau Department 10, Organization and Guidance Department, Pak Kwang Ho (PAD), Pak Pong Ju, Party elders, party life, Party Life Guidance, Political Bureau, Propaganda and Agitation Department, Public Events, Pyongyang Defense Command, Pyongyang WPK Committee, reserve training units, RMTUs, Second Economy Commission, Secretariat, State Affairs Commission, State Security Department, Storm Corps, Supreme People's Assembly, Tank Command, uawk, VMar Ri Yong Mu, Worker Peasant Red Guard, Workers' and Social Organizations, XI Army Corps (SOF), Yang Hyong Sop, Young Red Guard, Yun Tong Hyon.